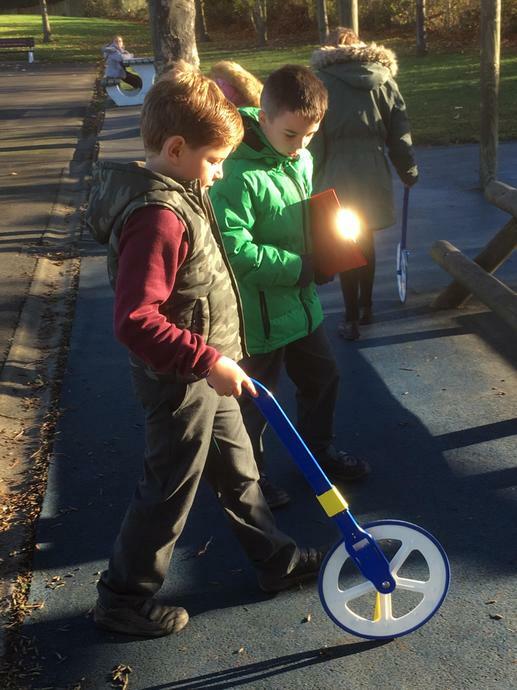 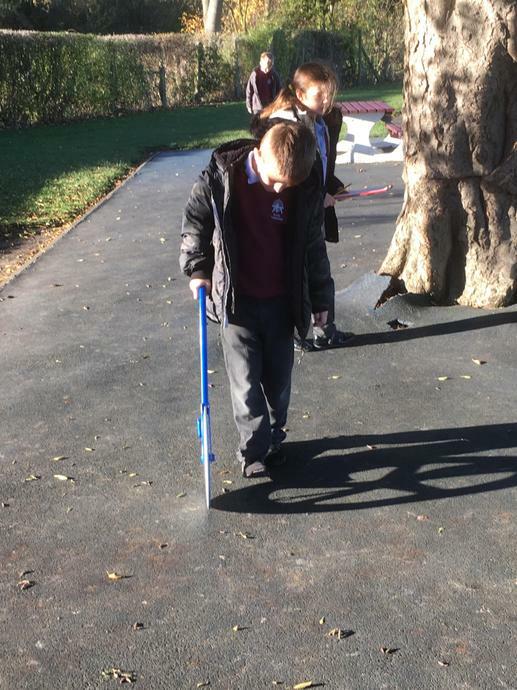 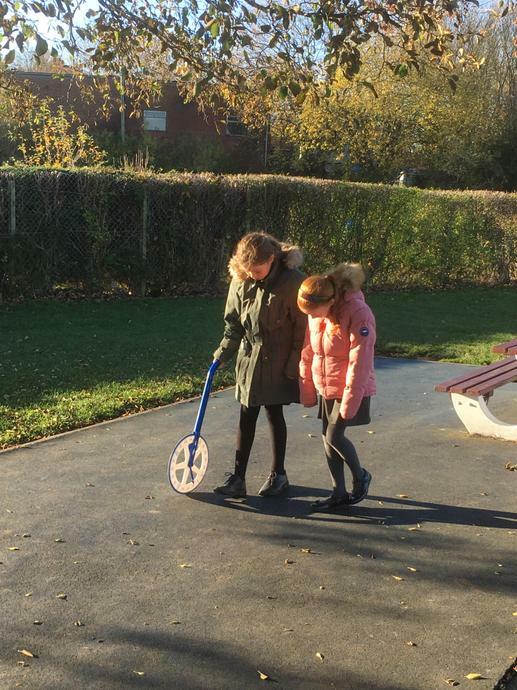 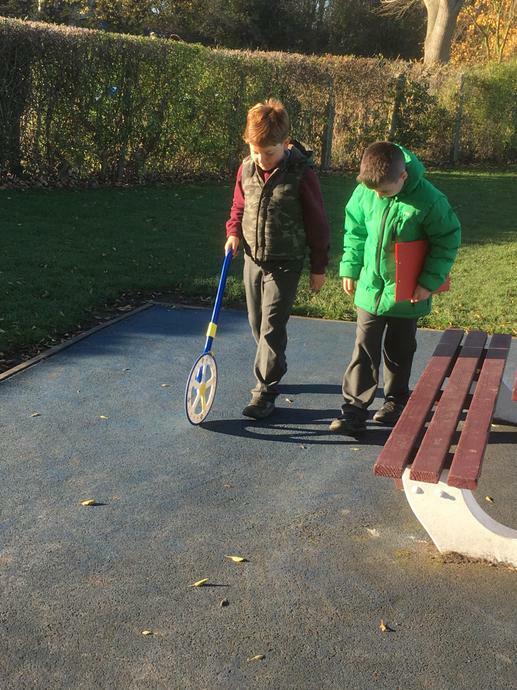 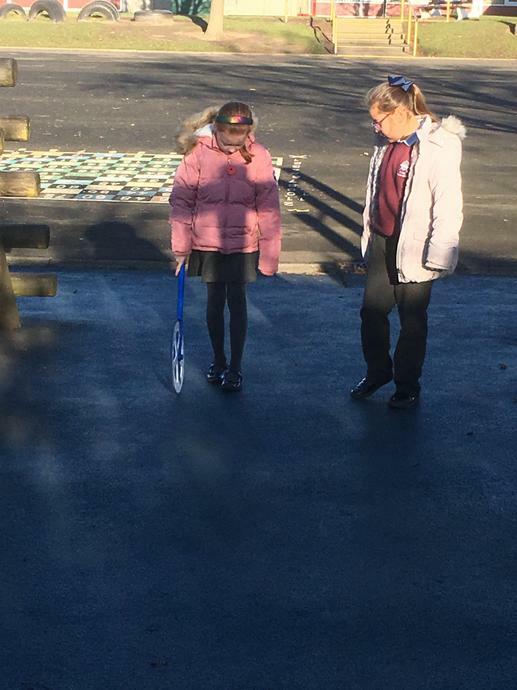 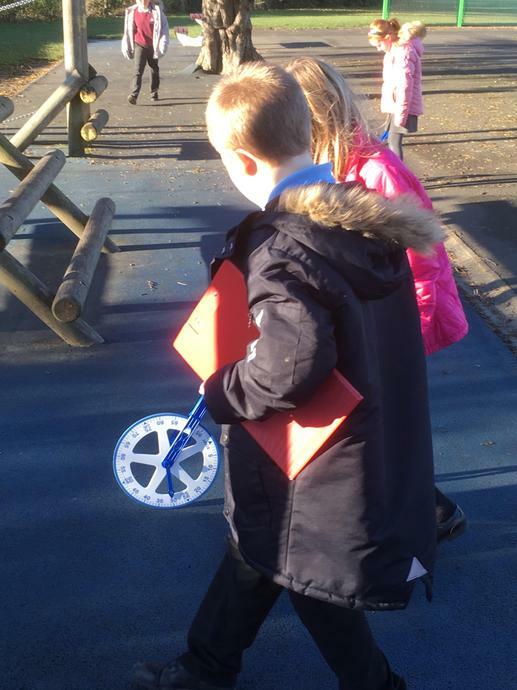 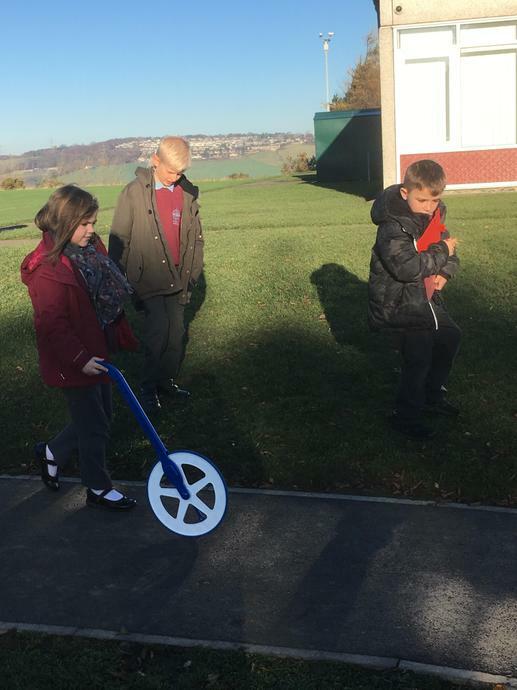 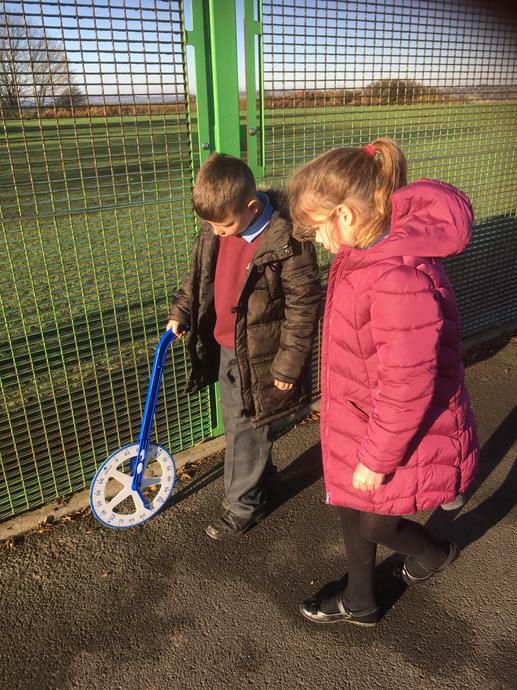 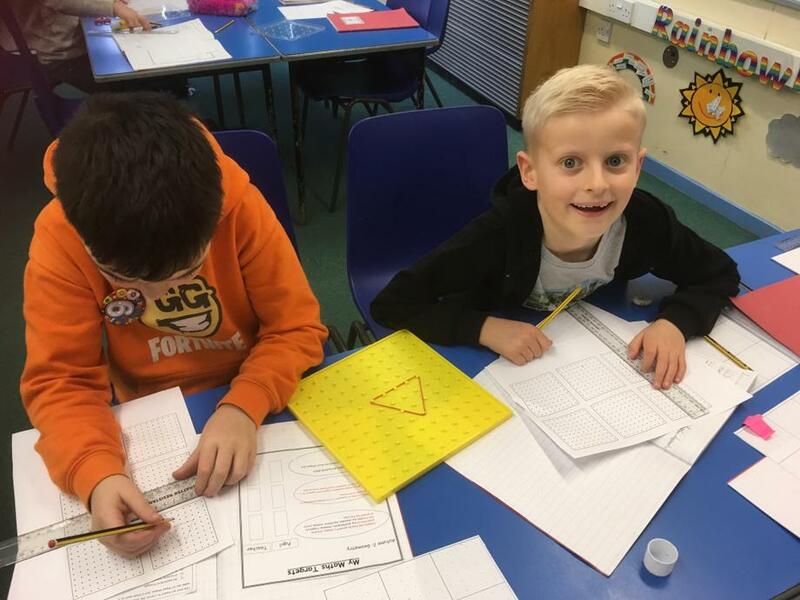 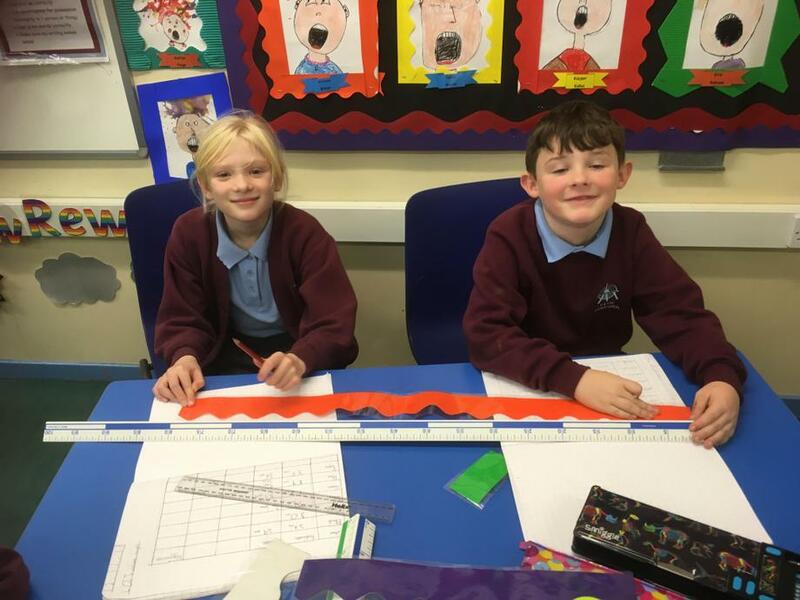 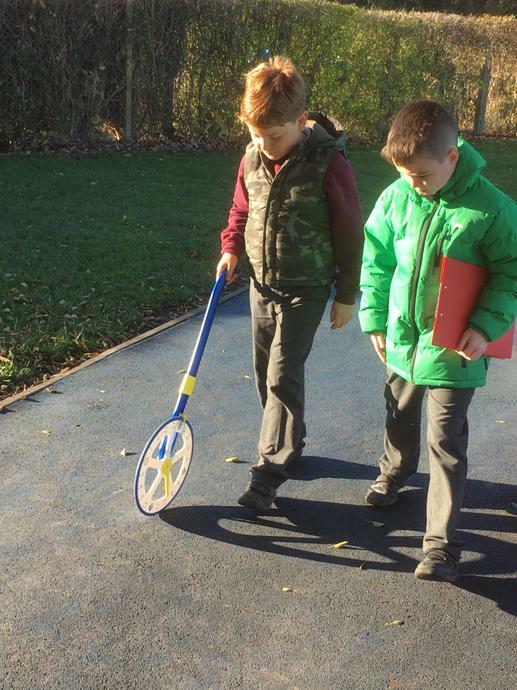 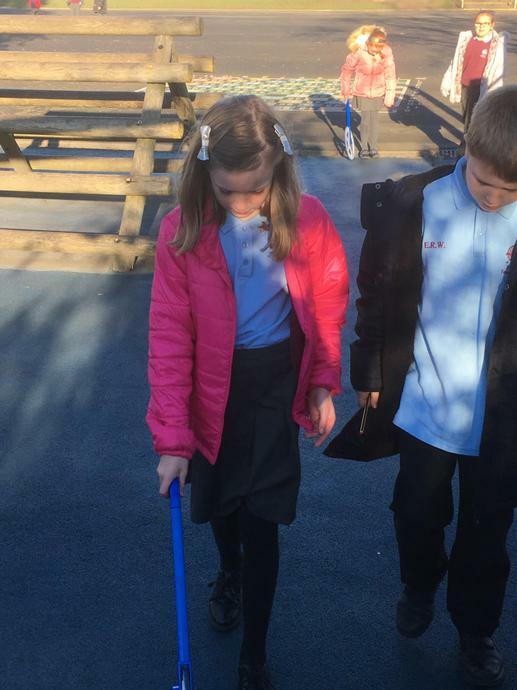 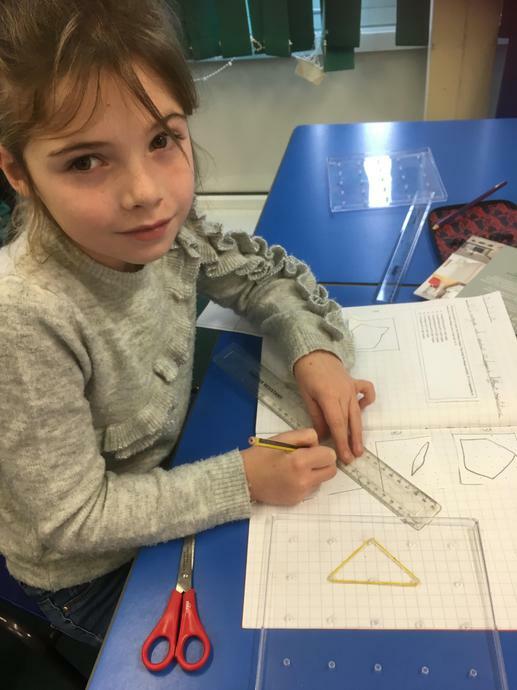 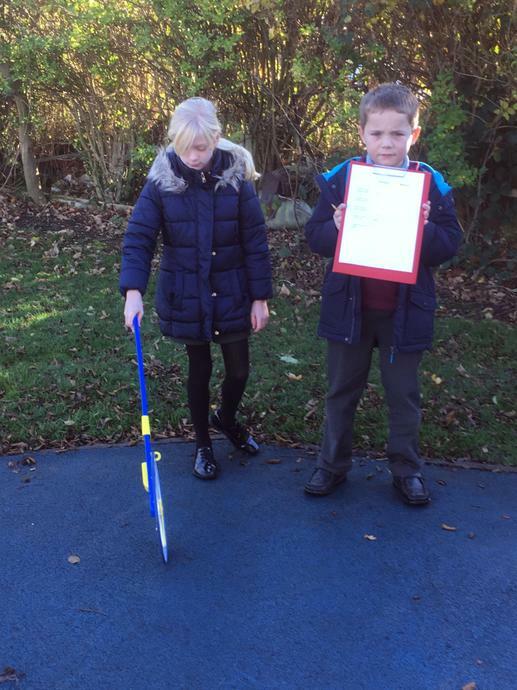 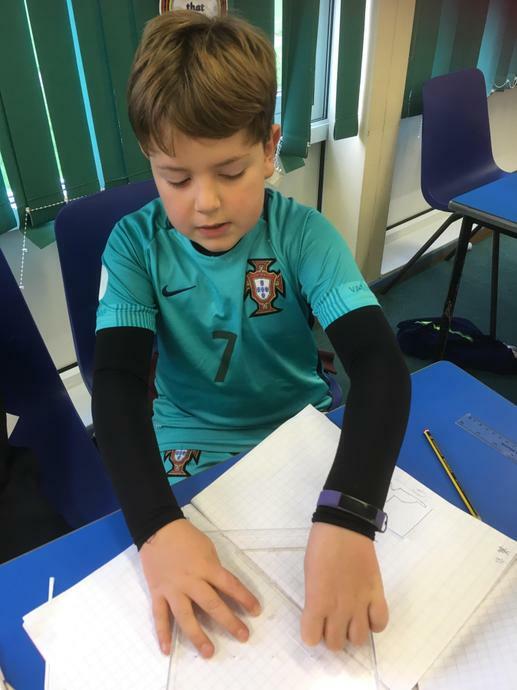 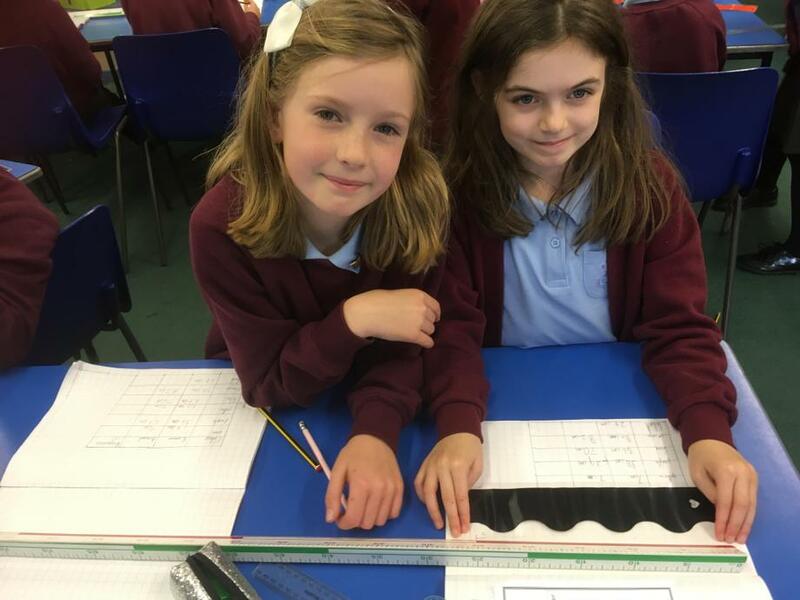 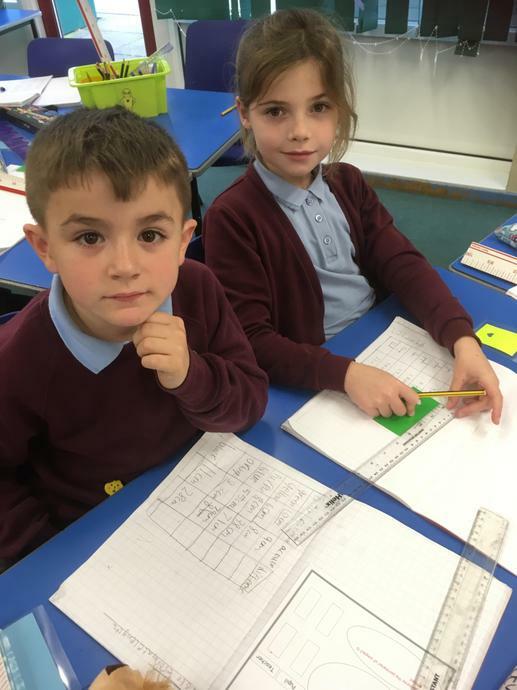 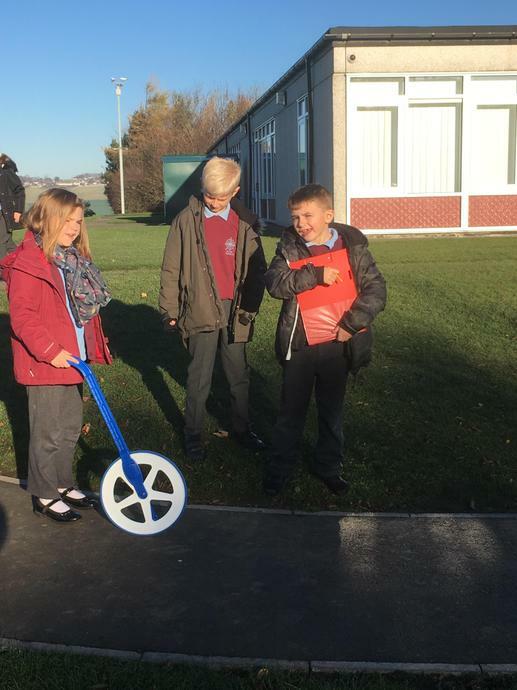 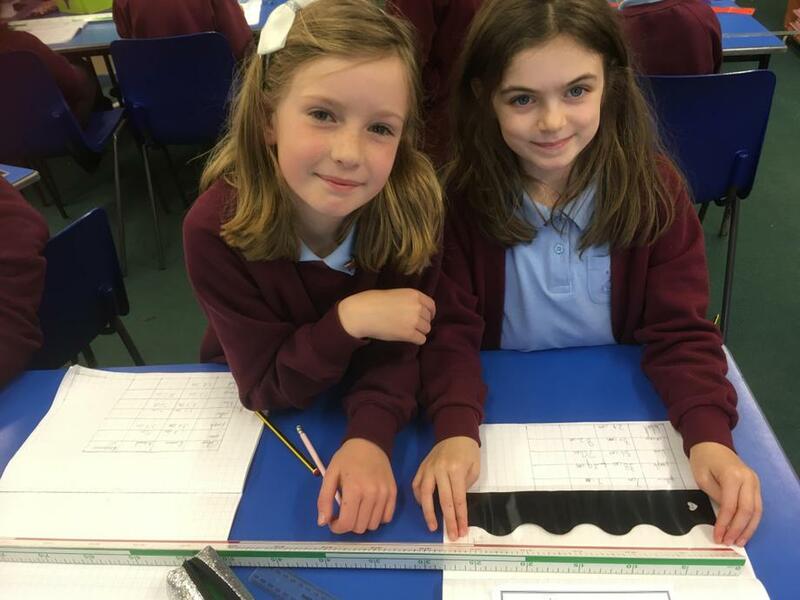 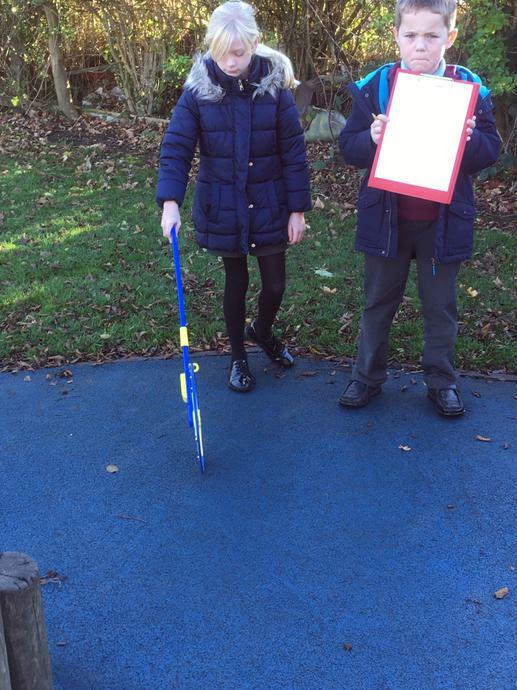 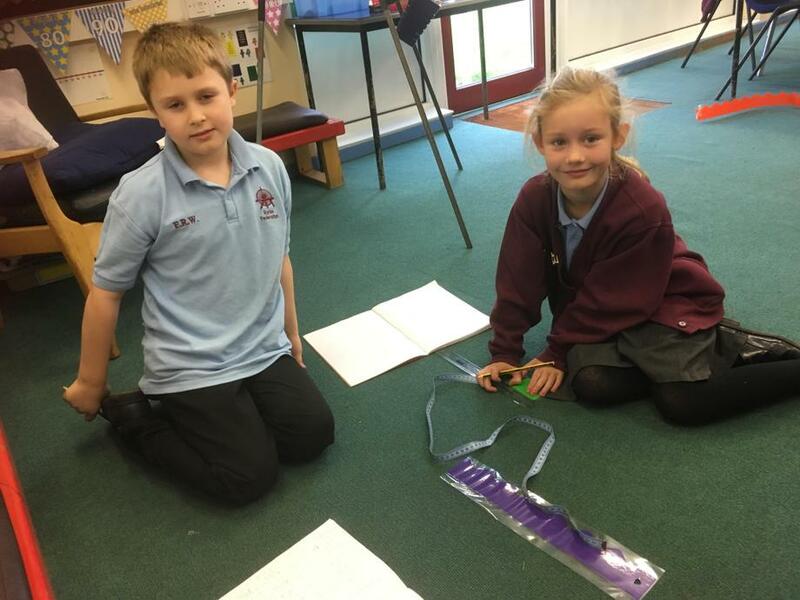 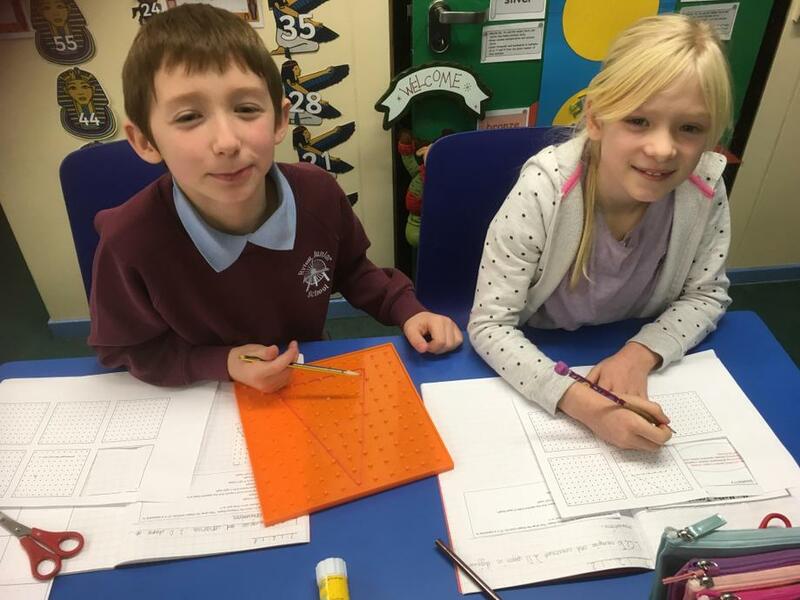 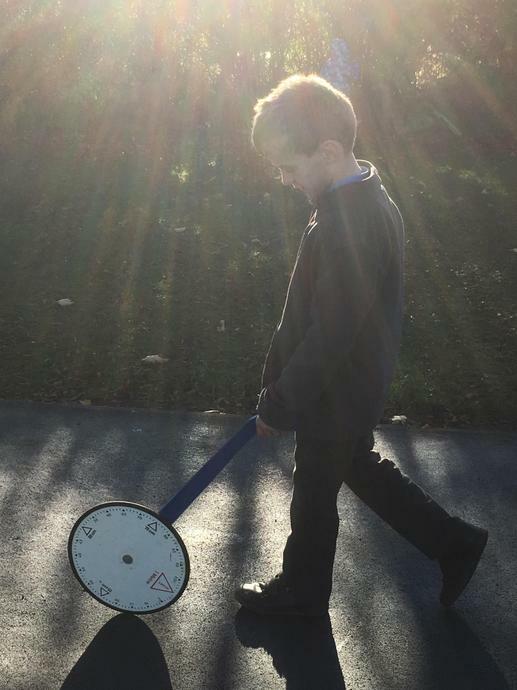 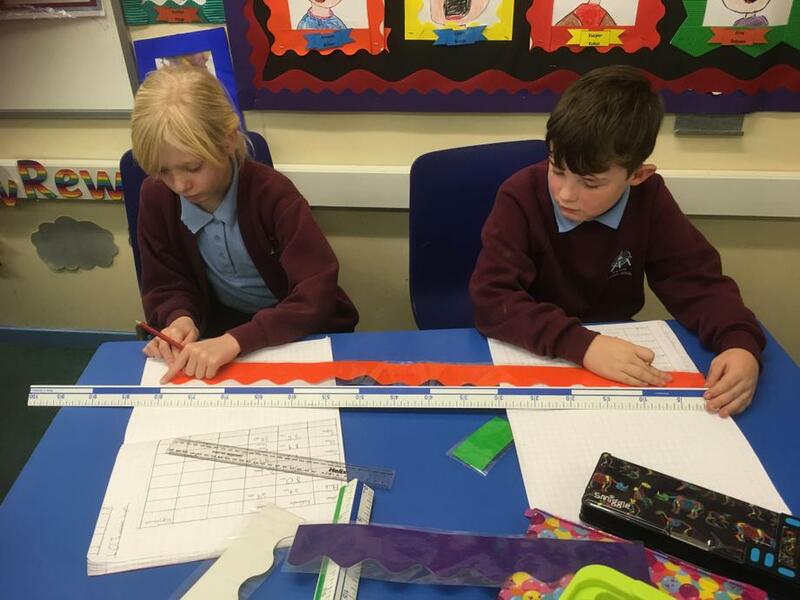 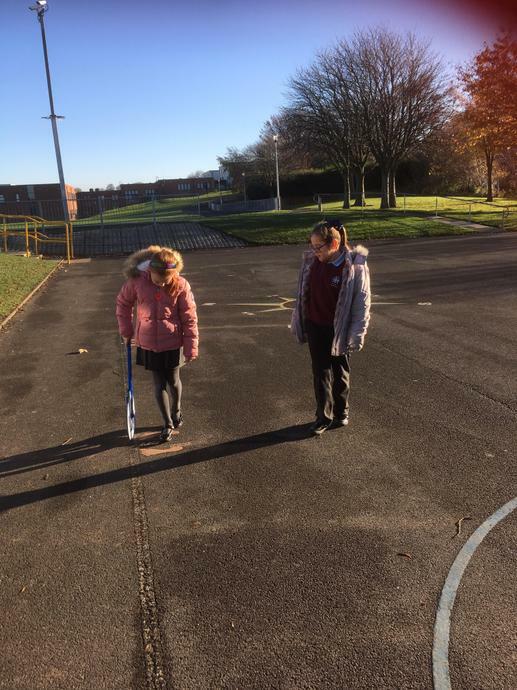 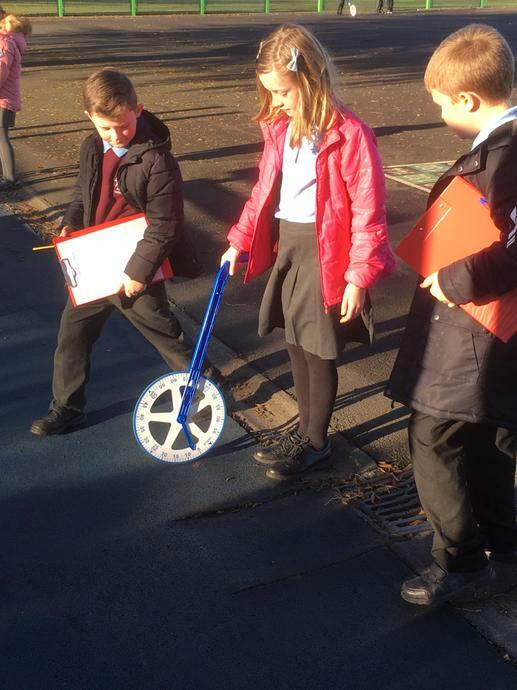 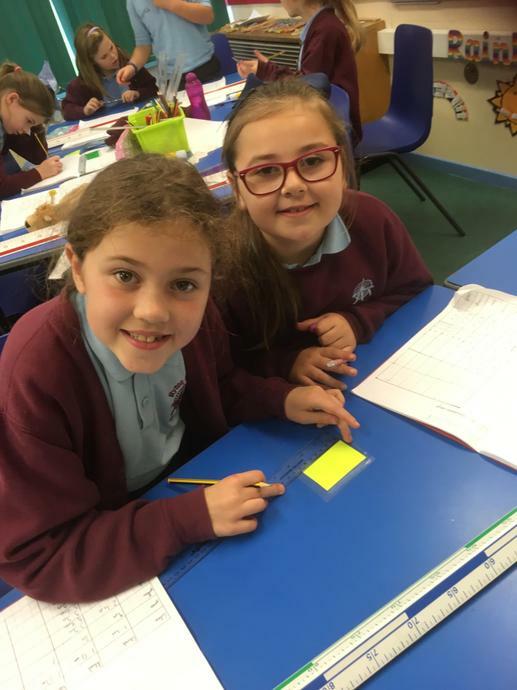 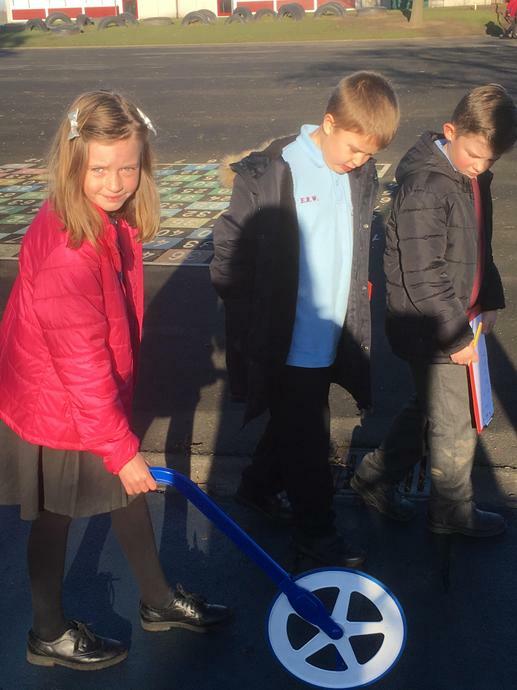 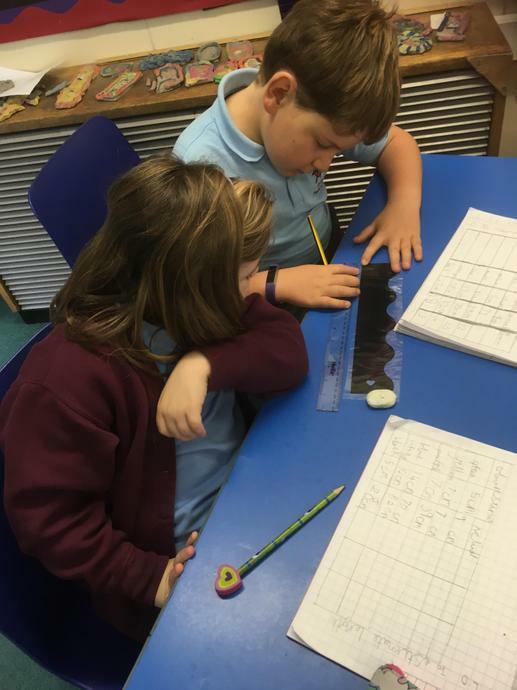 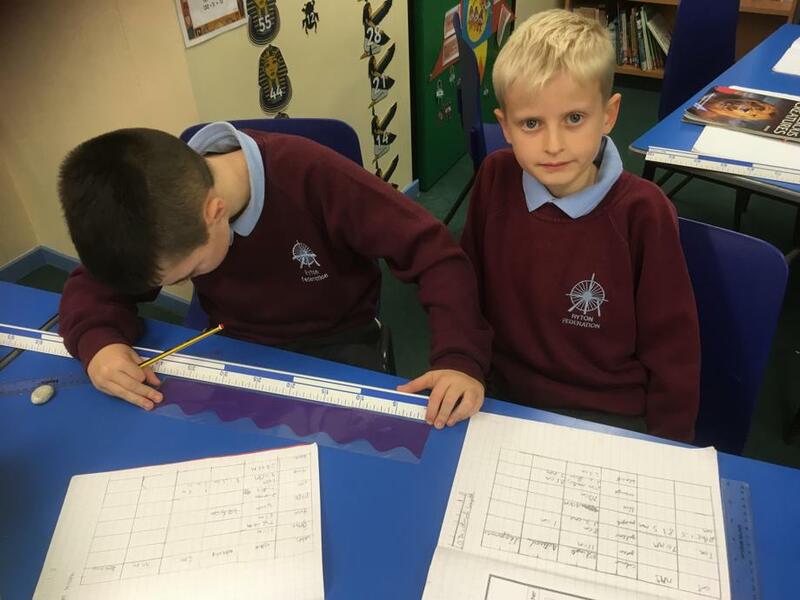 This term in maths, Year 3 and 4 having been learning how to measure accurately using a variety of rulers, tape measures and trundle wheels. 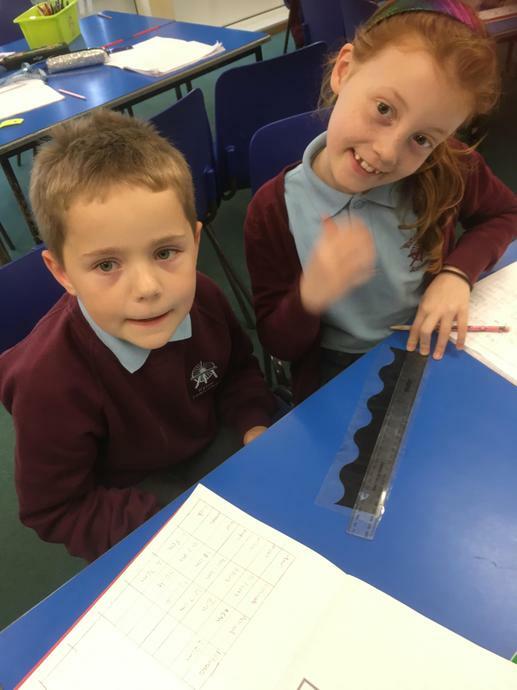 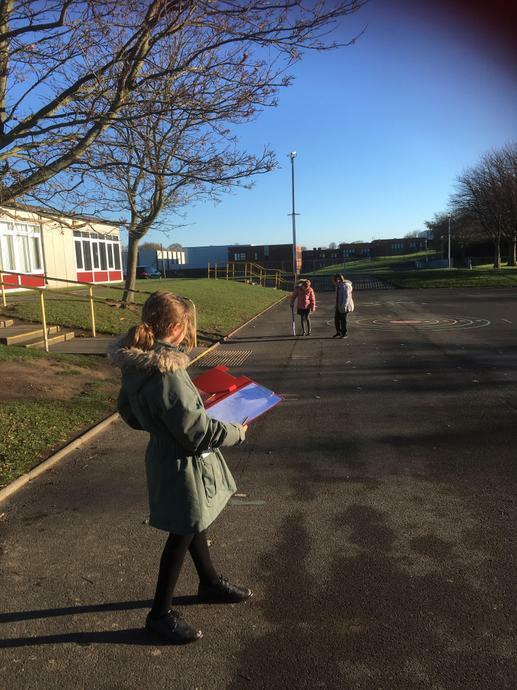 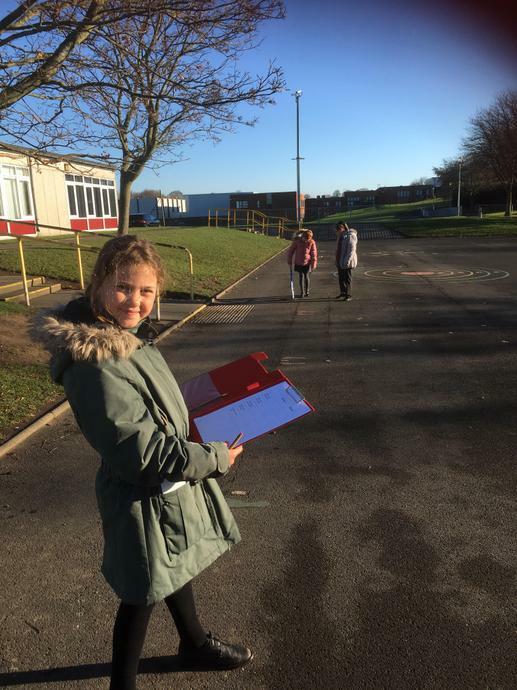 We estimate the lengths, then measured using millimetres, centimetres and metres. 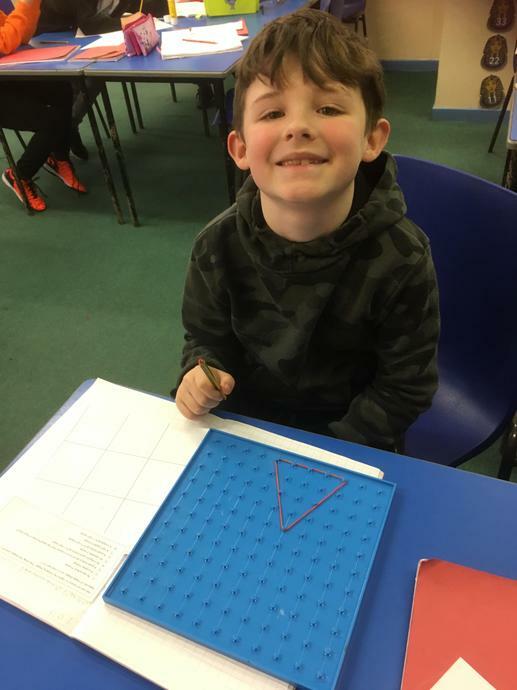 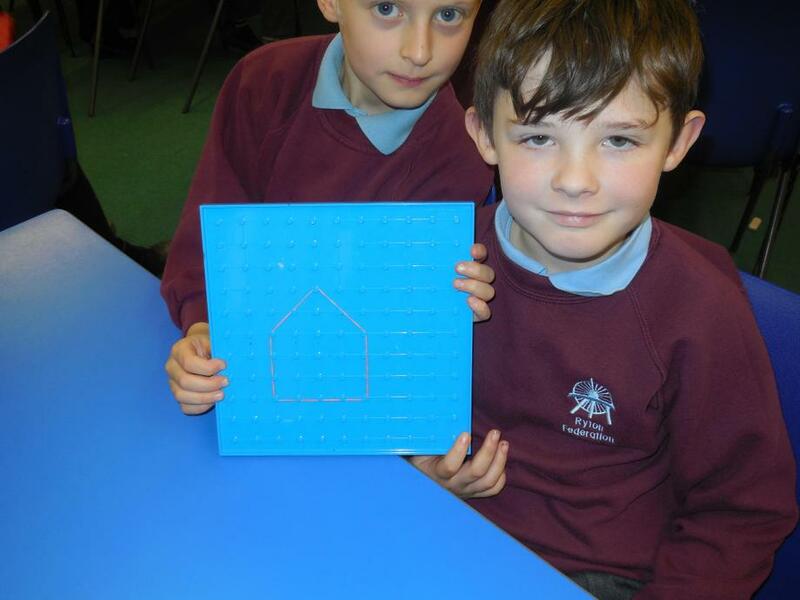 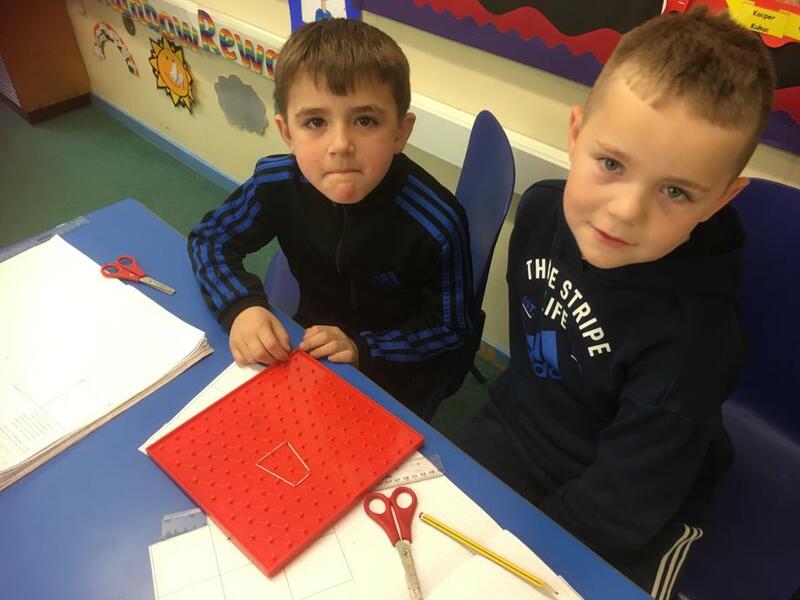 Later in the term, we used peg boards to further develop our knowledge of 2D shape. 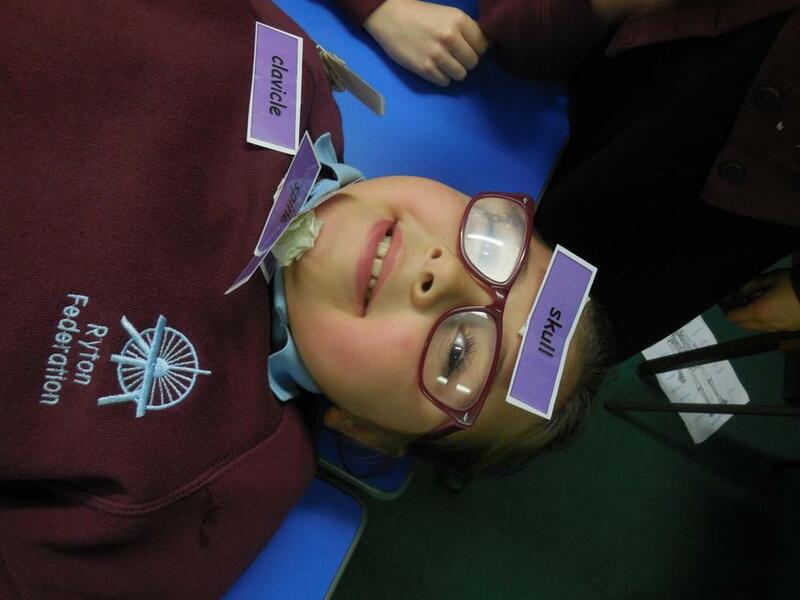 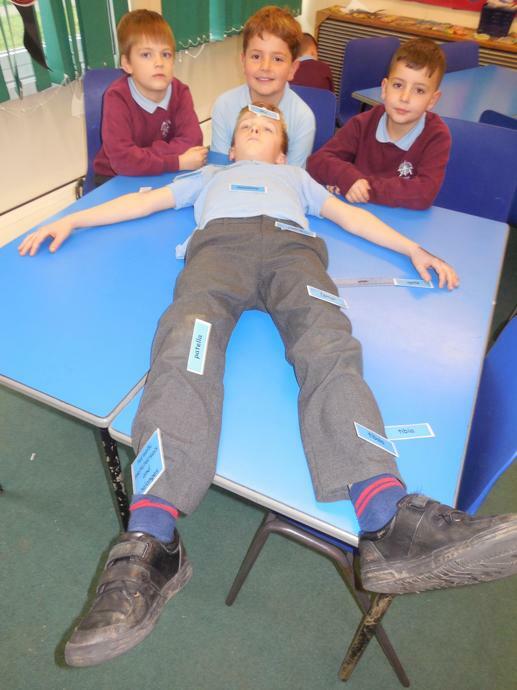 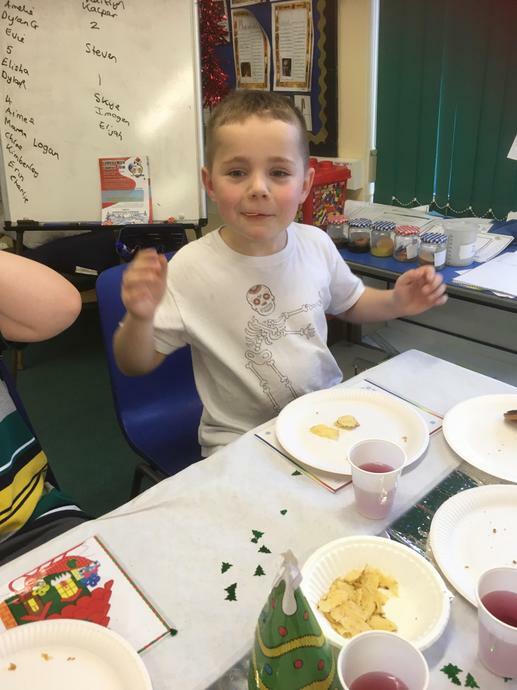 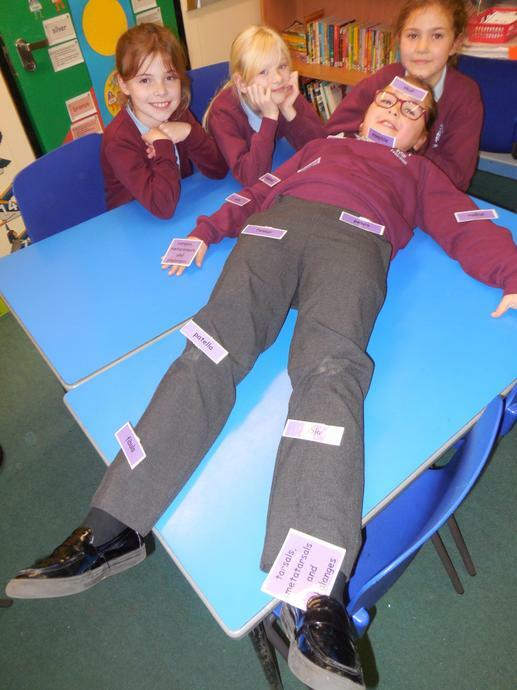 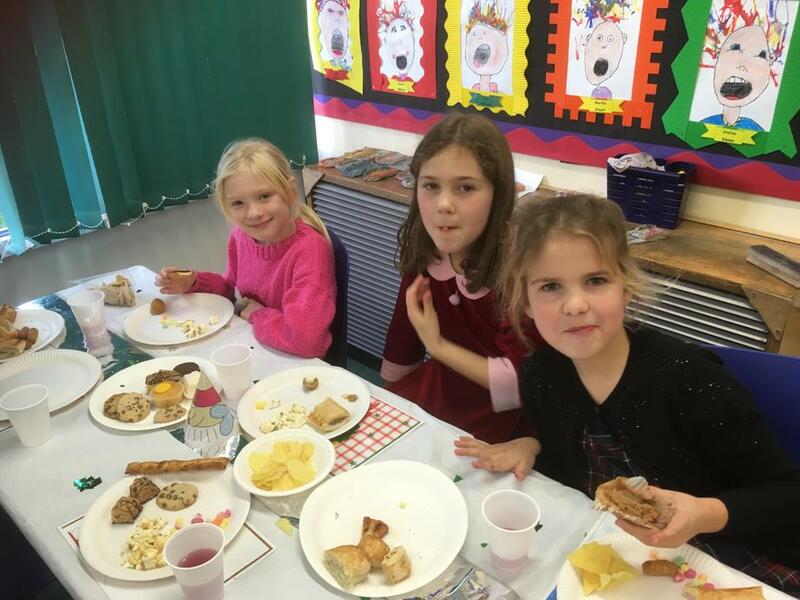 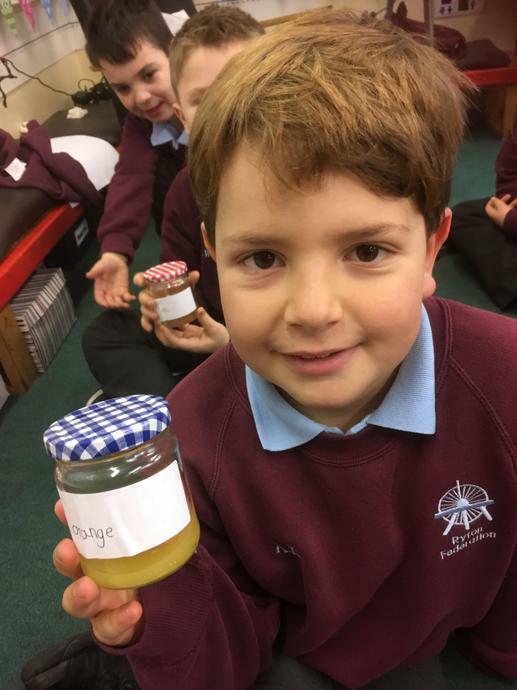 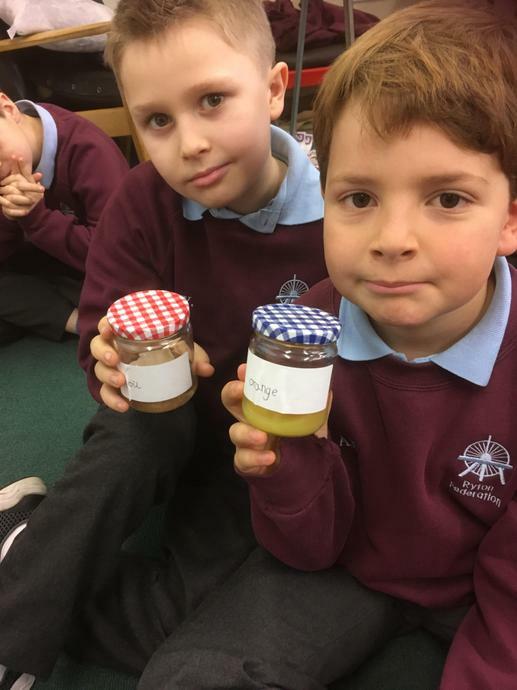 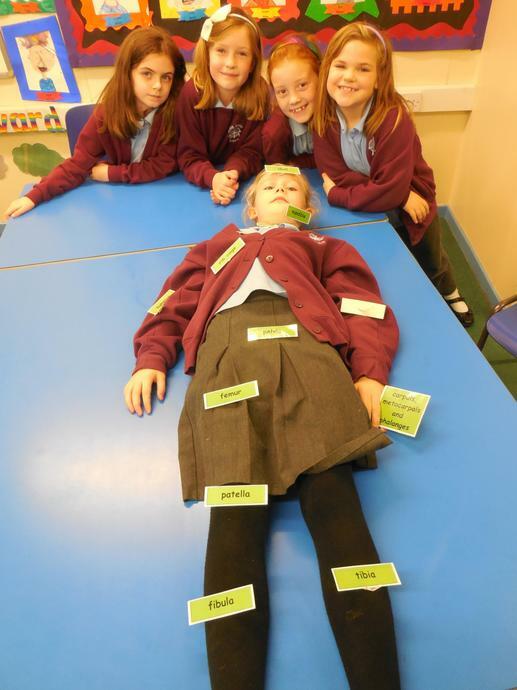 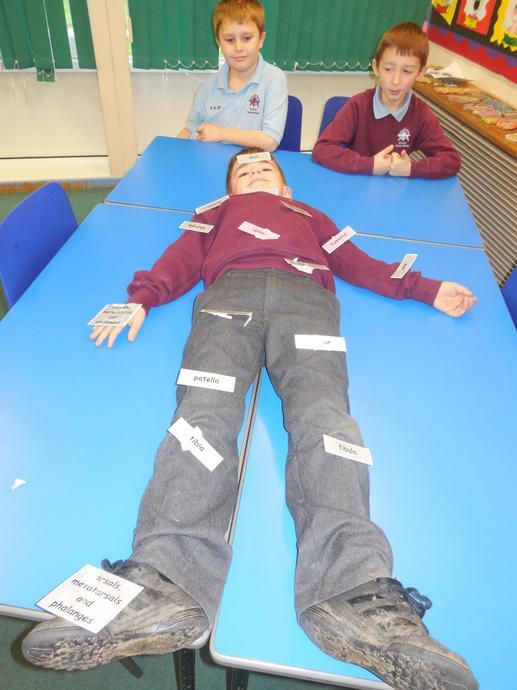 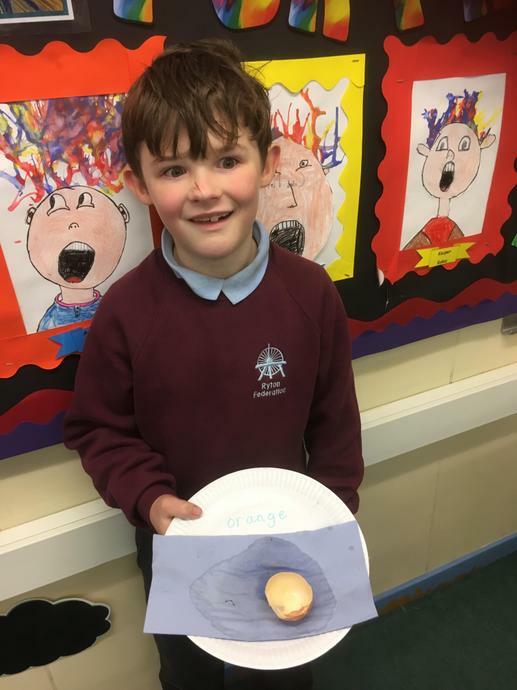 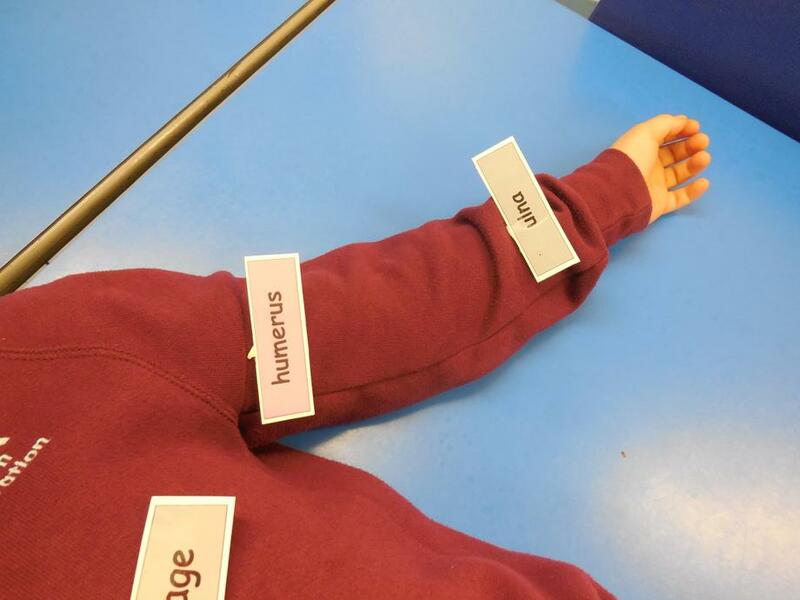 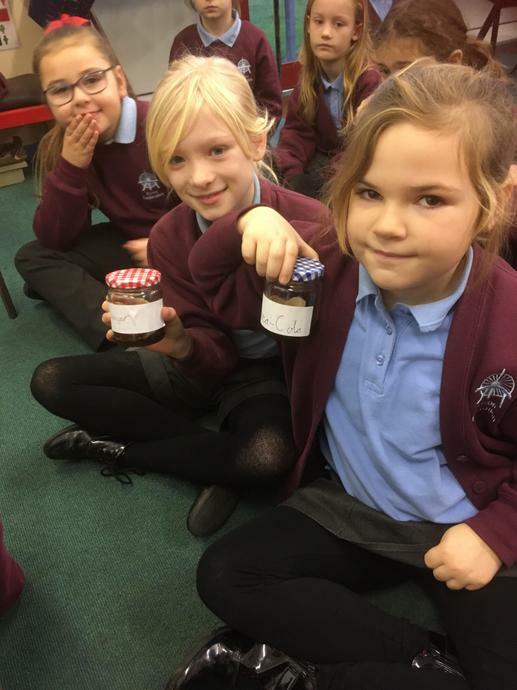 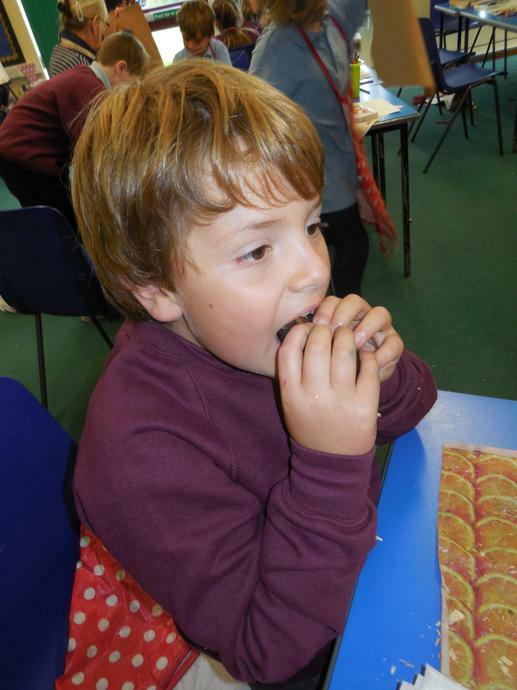 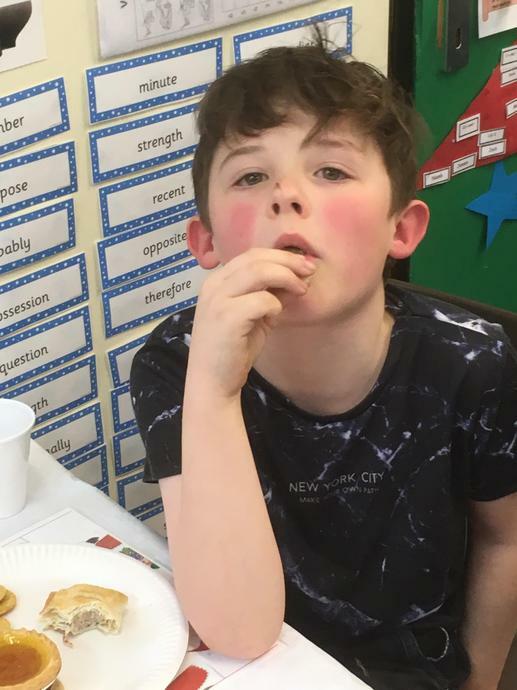 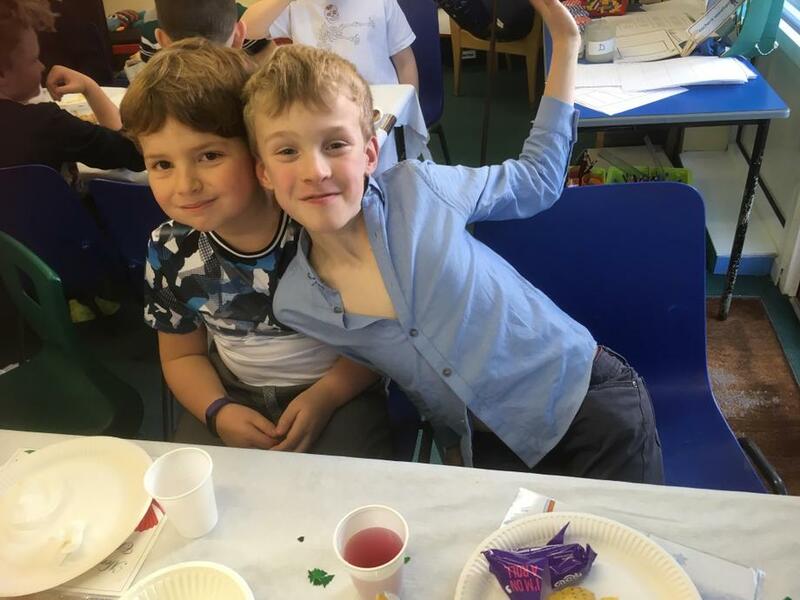 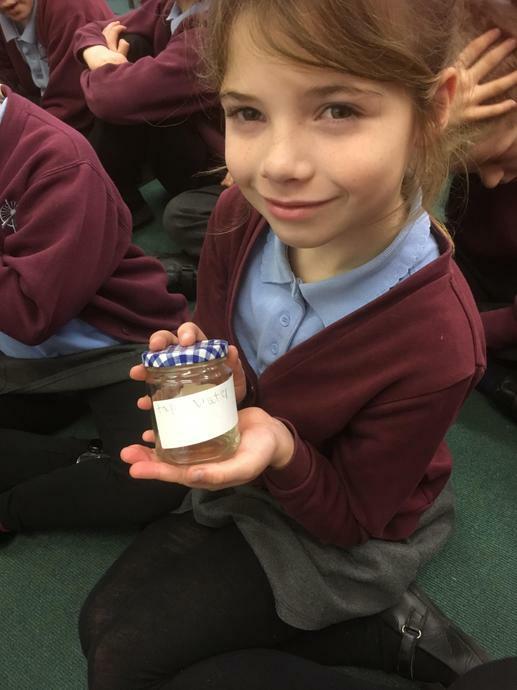 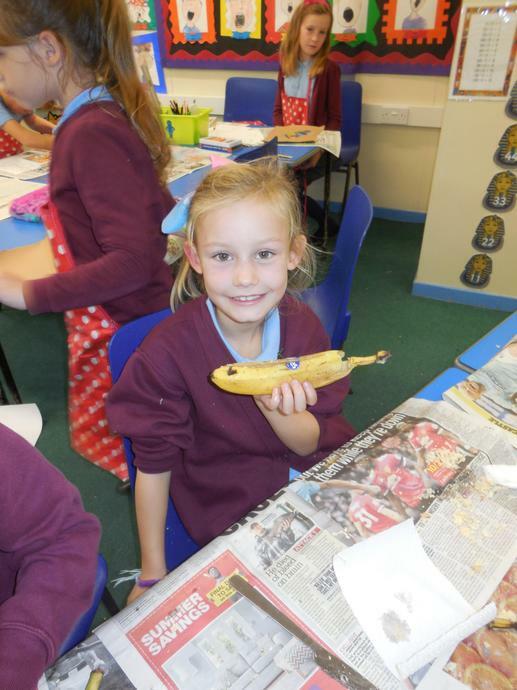 In Science, our topic was healthy eating and the body. 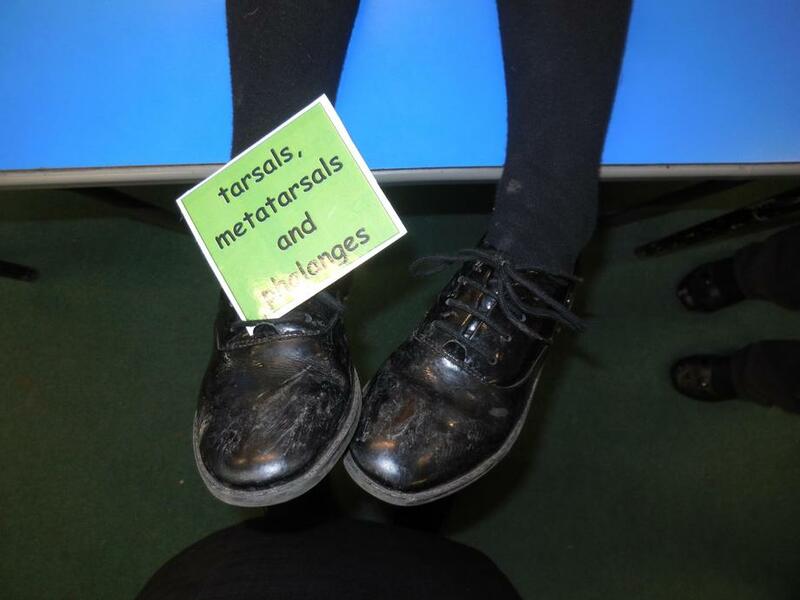 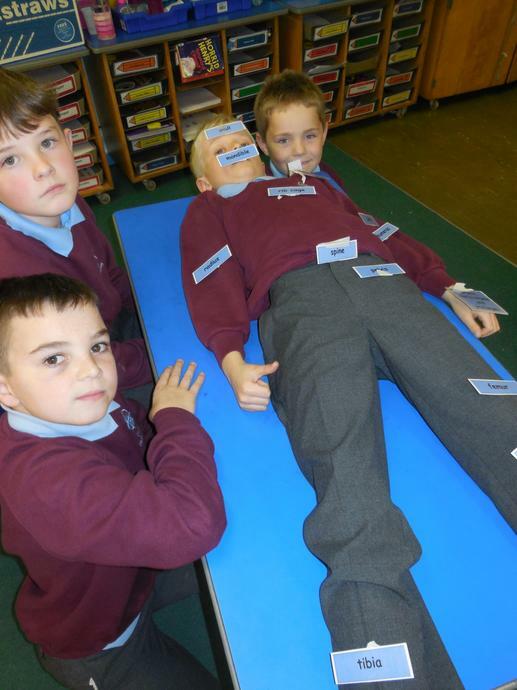 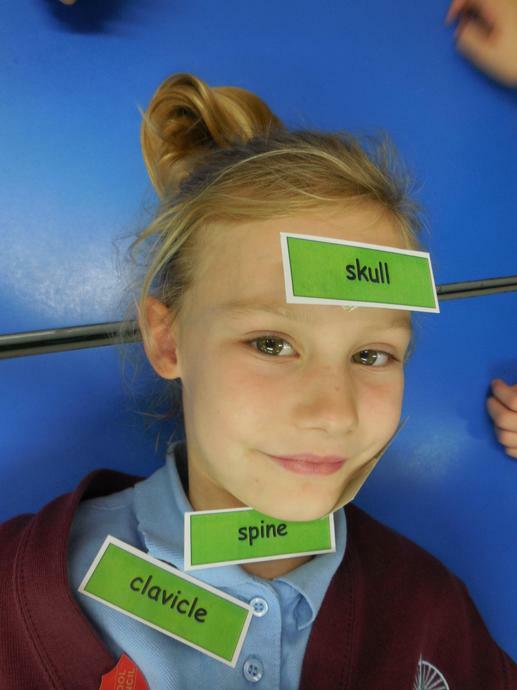 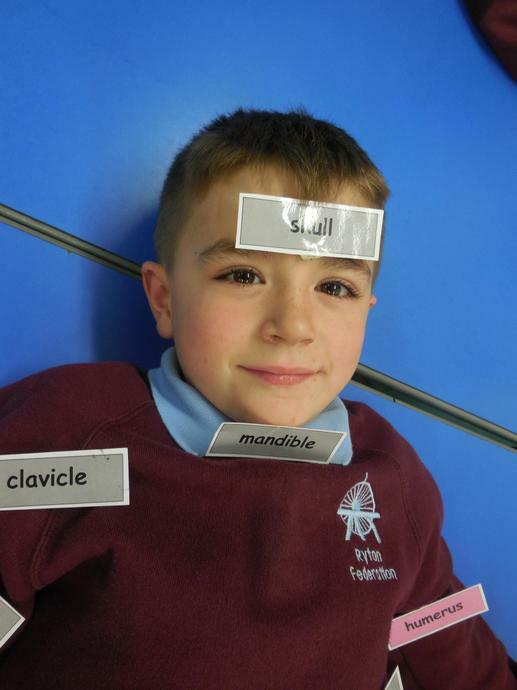 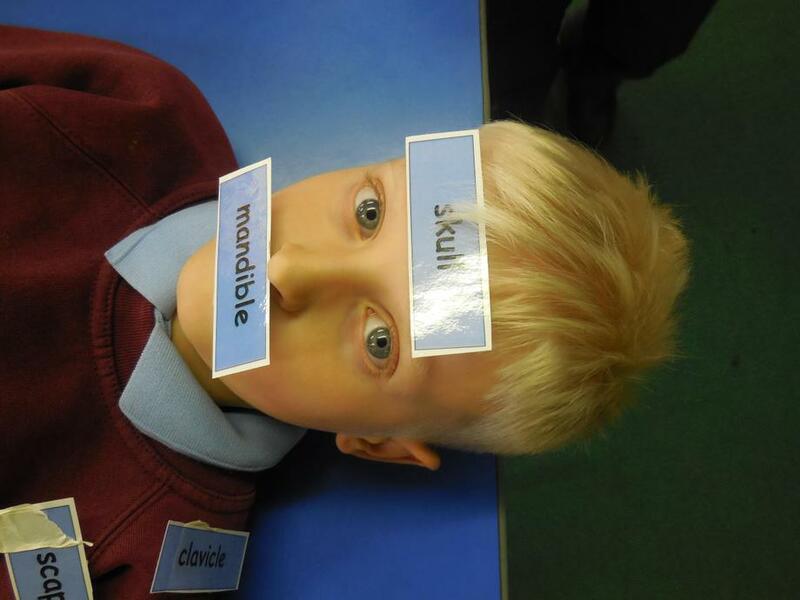 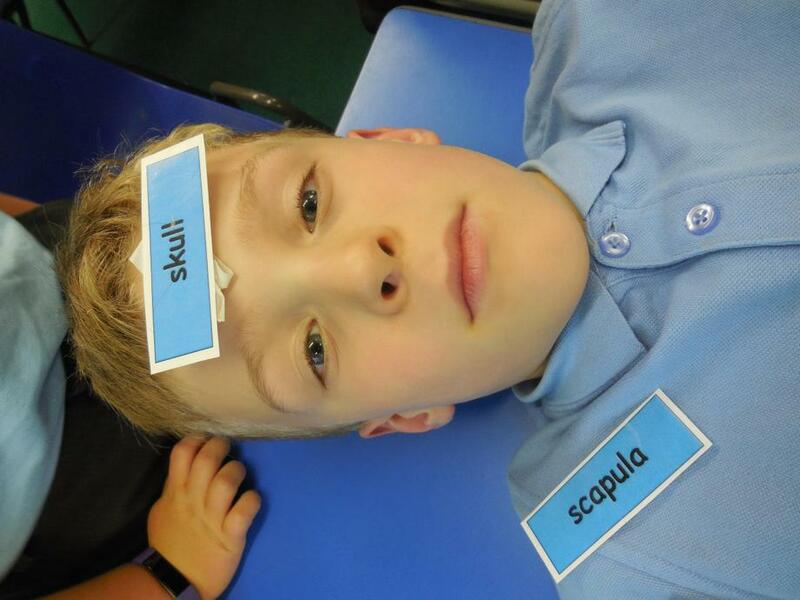 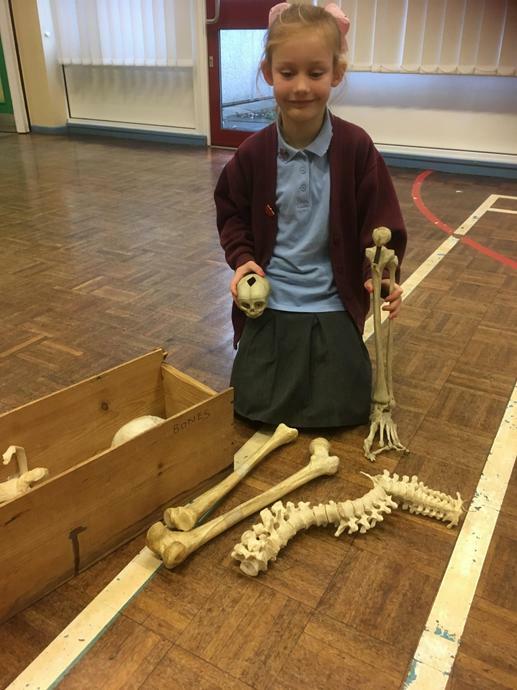 We learnt about the bones in our body and why our skeleton is important. 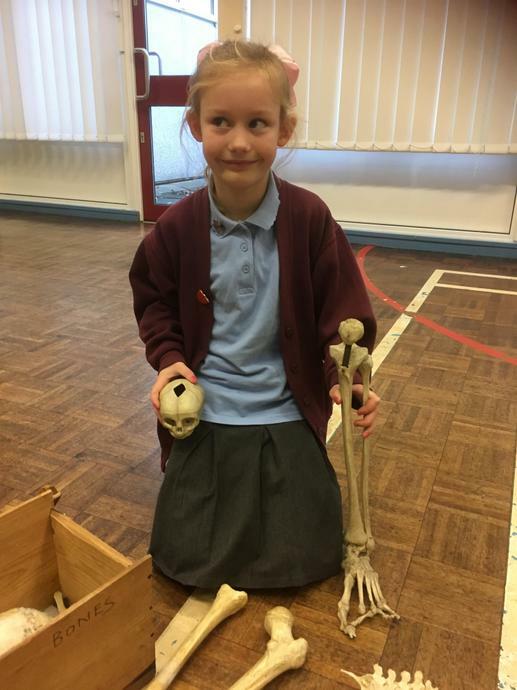 One of our class brought a skeleton into school, she was able to tell us about the bones and we were able to touch and look closely at the bones. 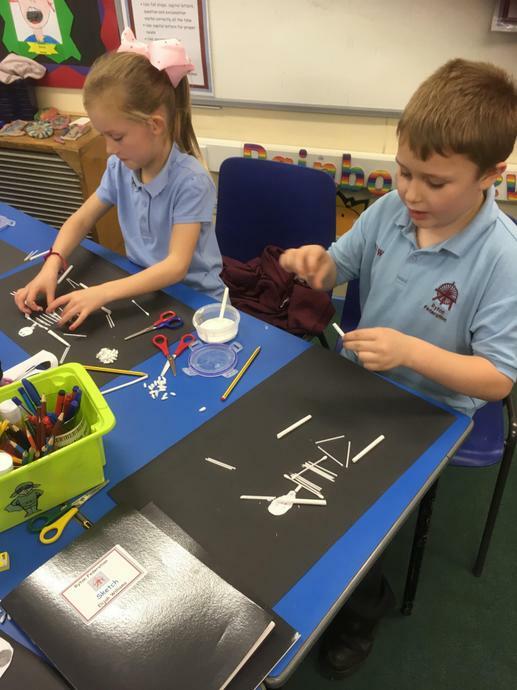 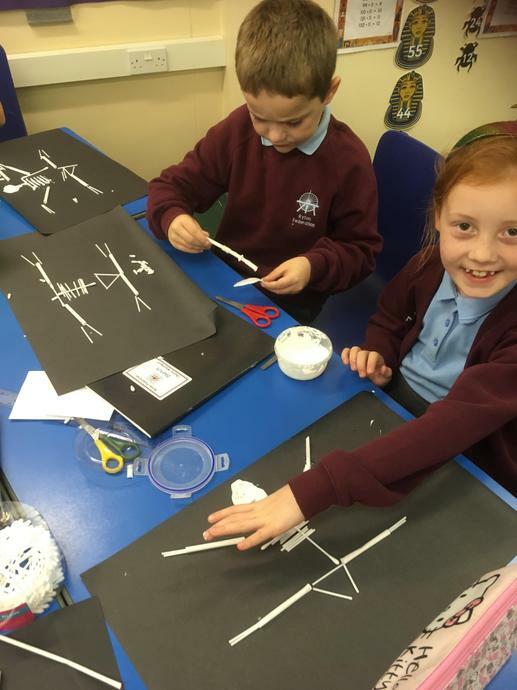 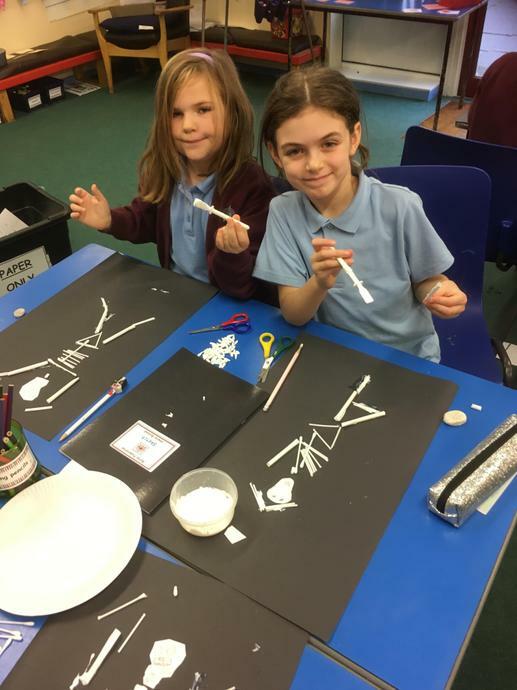 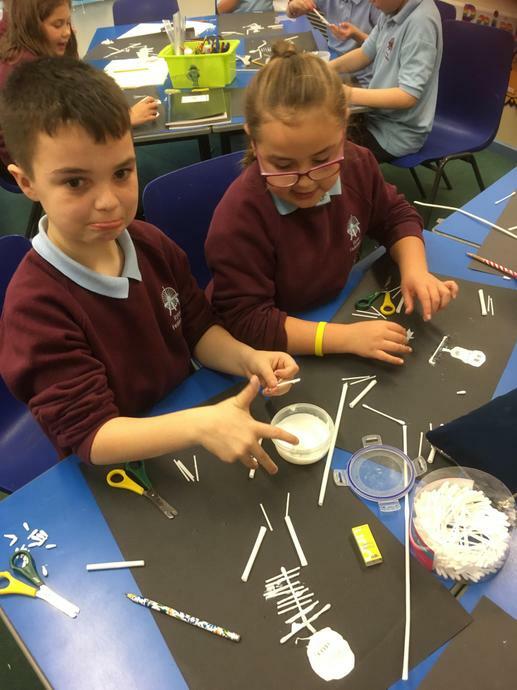 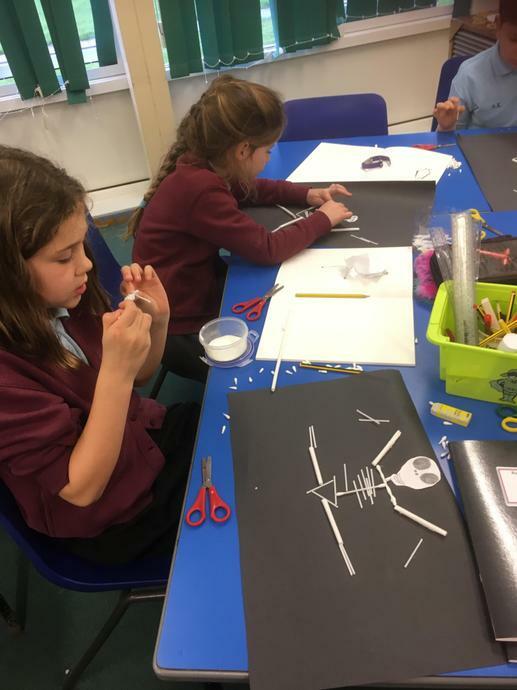 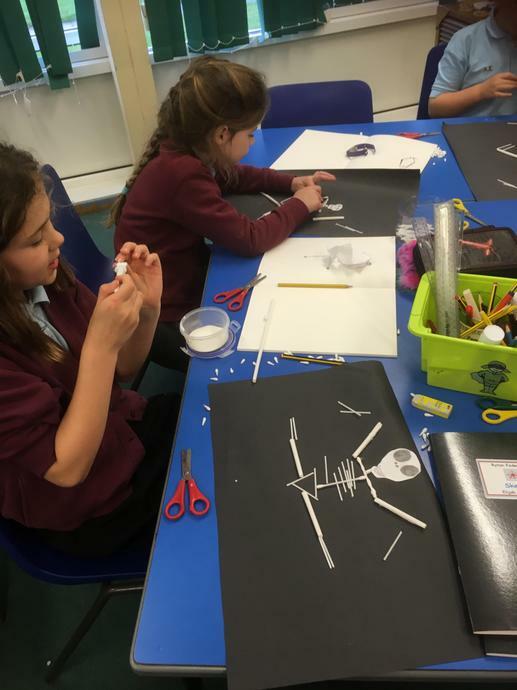 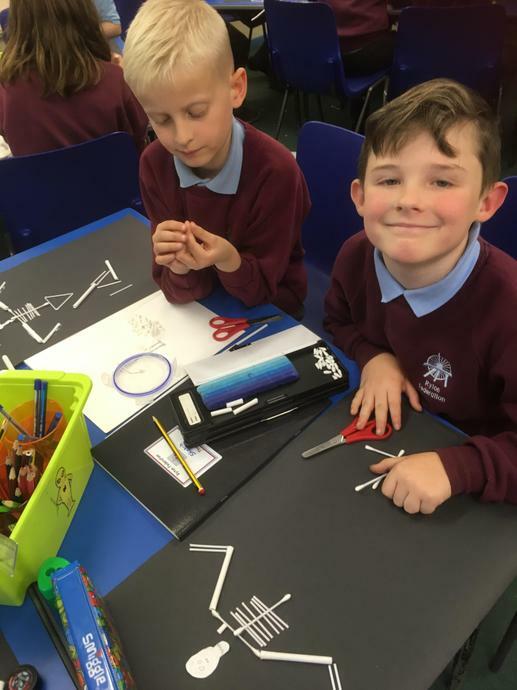 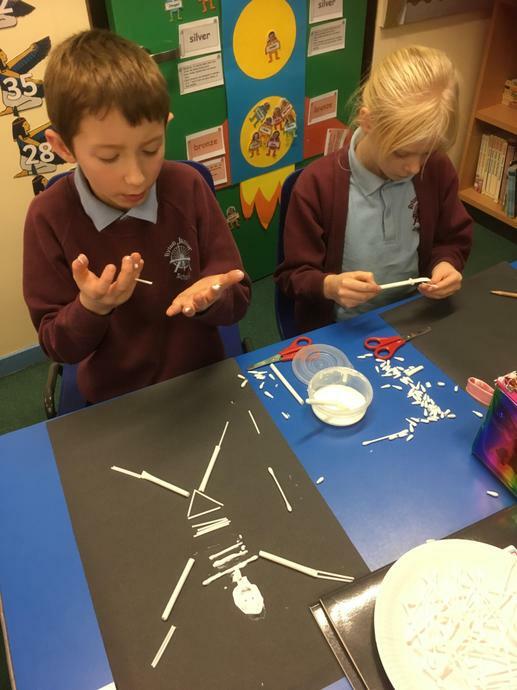 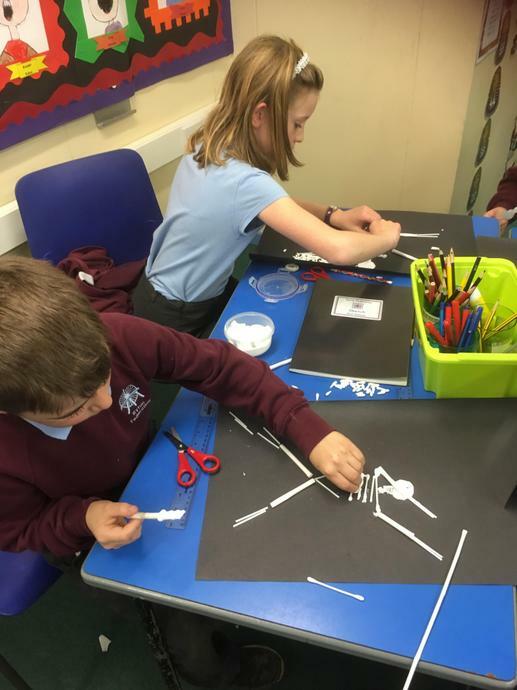 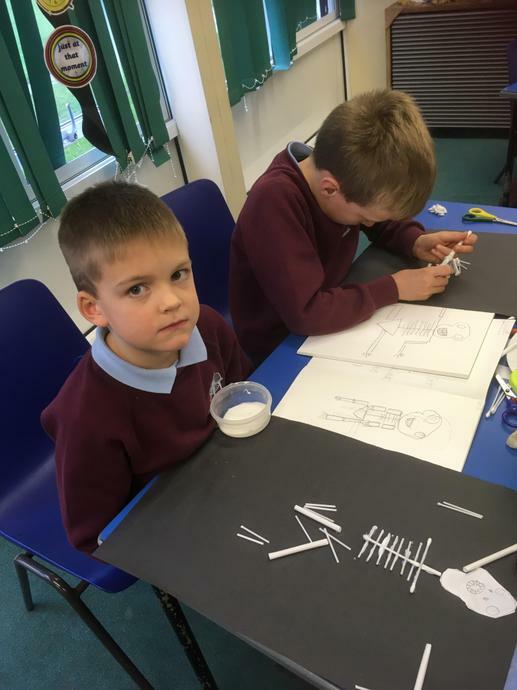 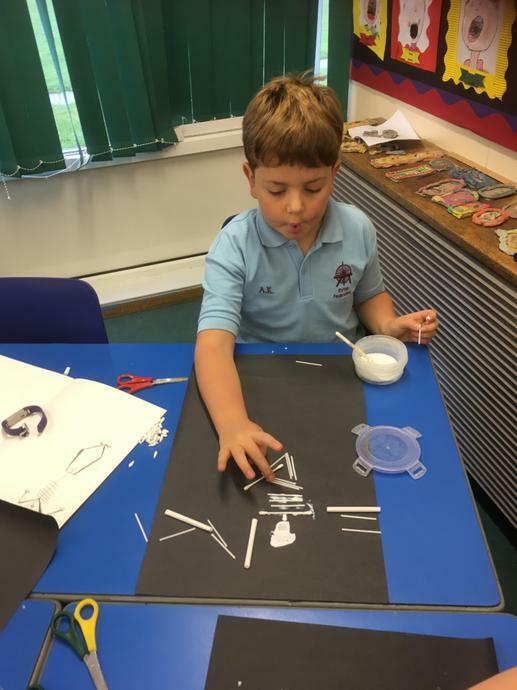 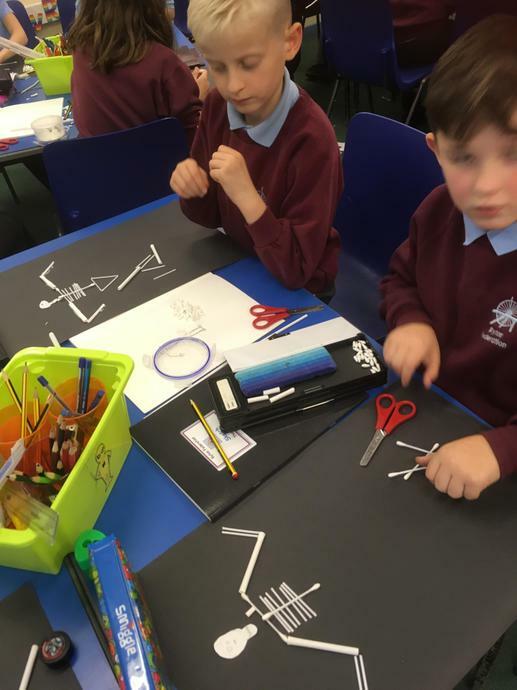 In art, we used our knowledge of bones to make anatomically correct skeletons, in a variety of positions using cotton buds and a variety of paper straws. 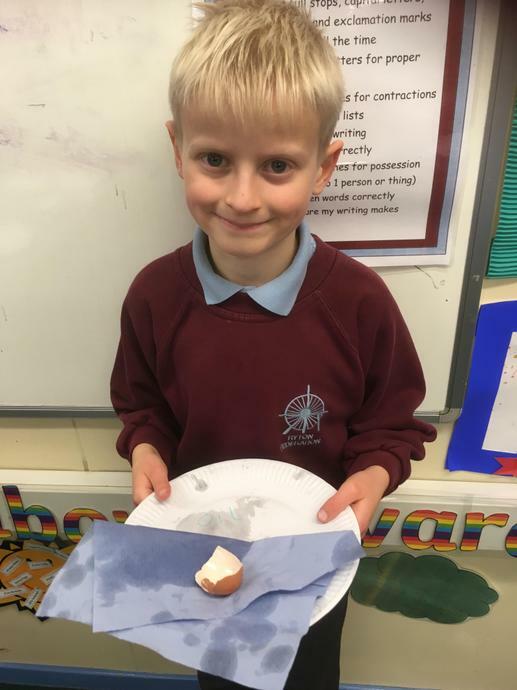 We also investigated the effect of a variety of liquids on teeth. 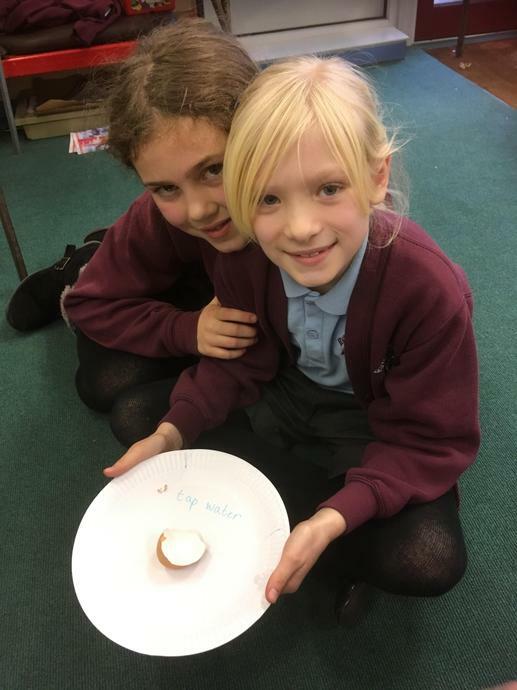 Egg shells were used in place of teeth as they closely resemble teeth. 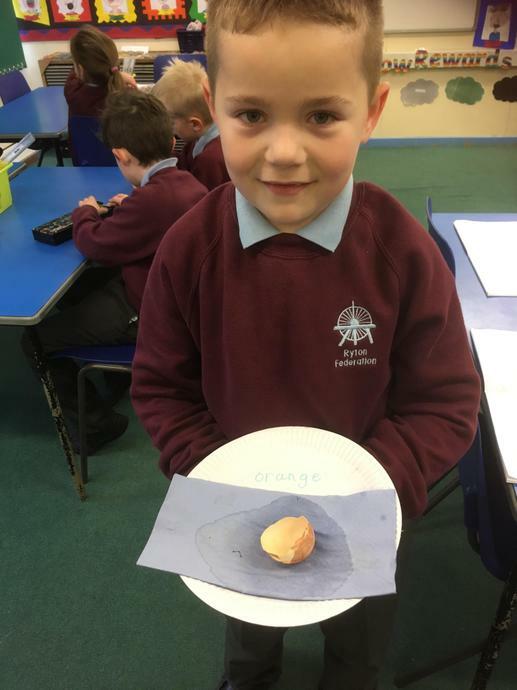 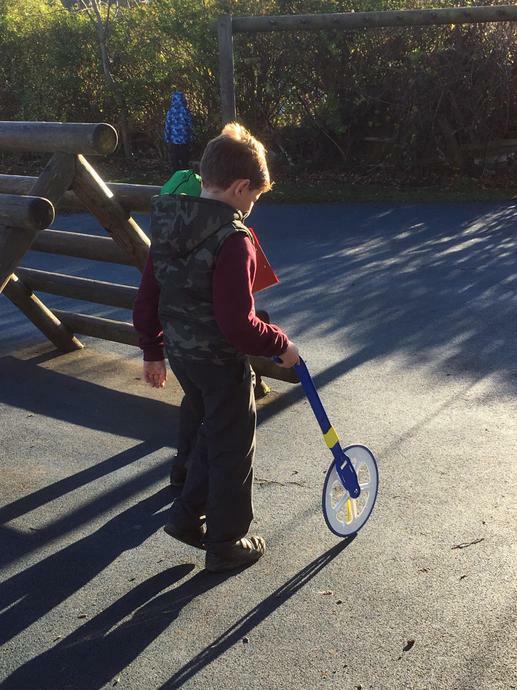 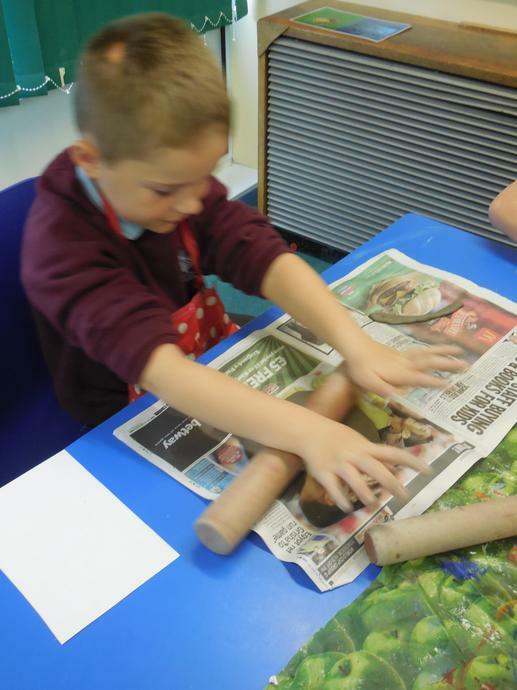 The children enjoyed this experiment and were eager to look everyday to see if there were any changes. 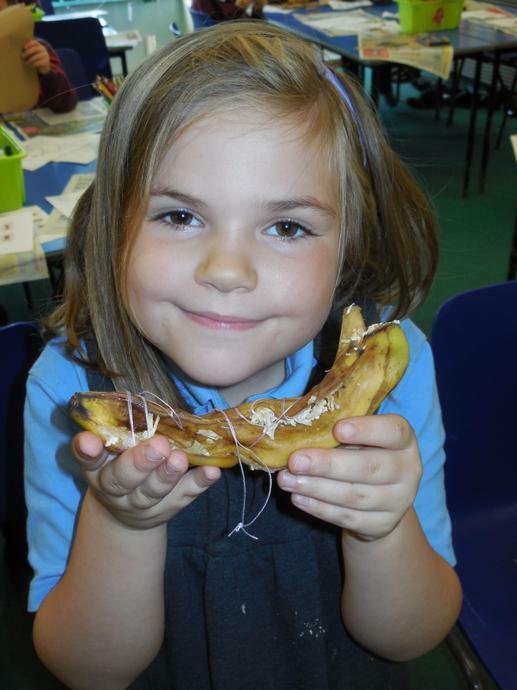 From this experiment they realised the importance of brushing their teeth regularly. 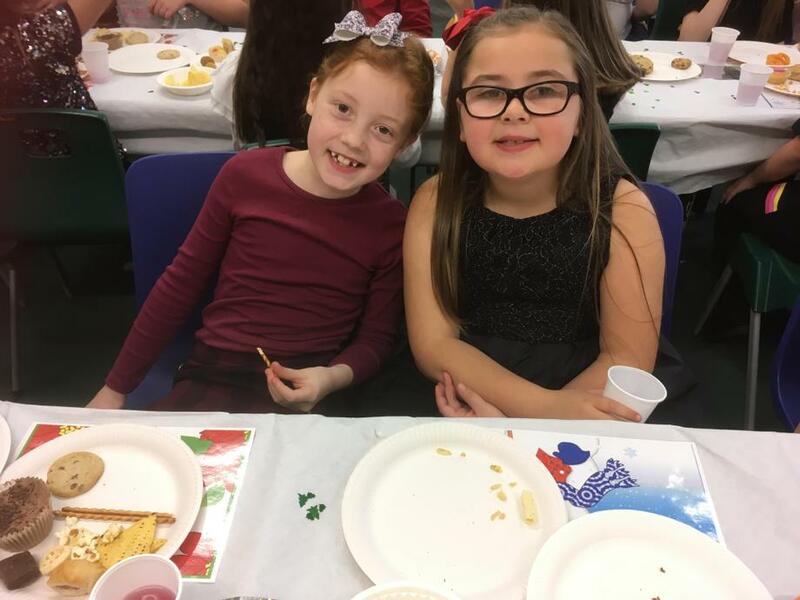 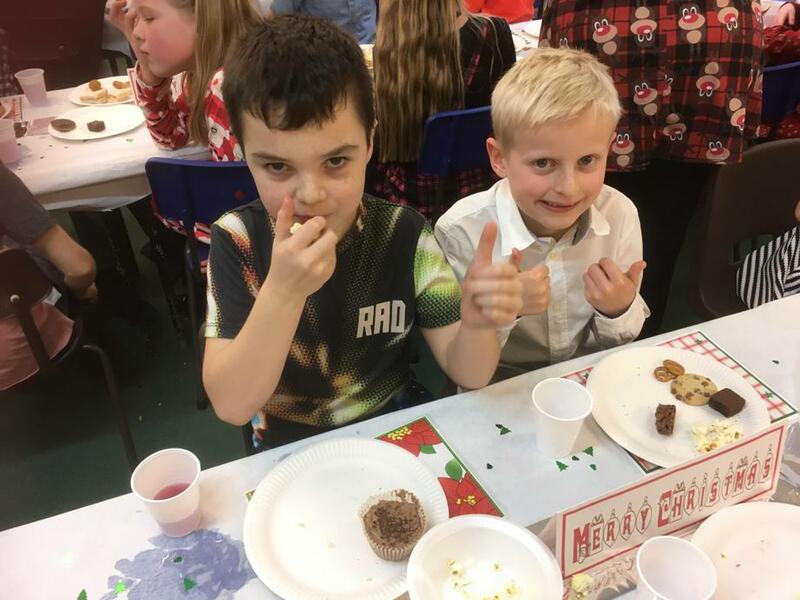 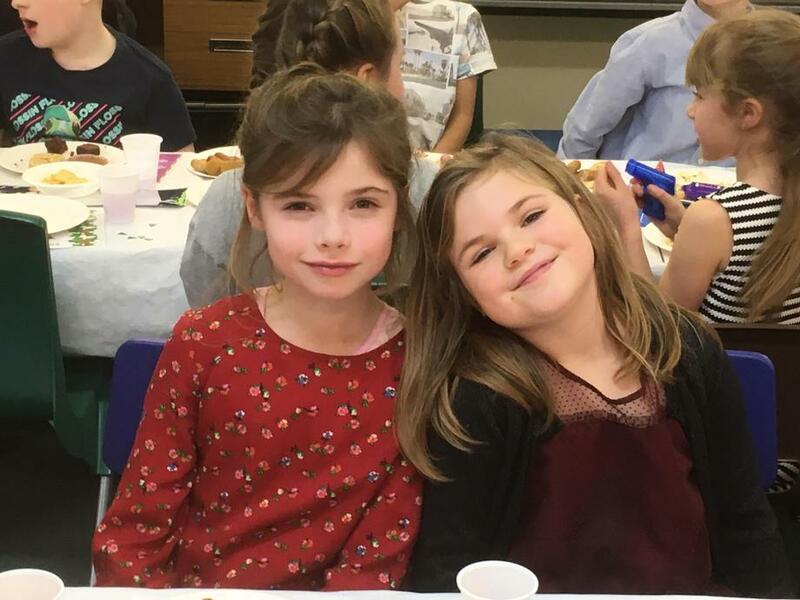 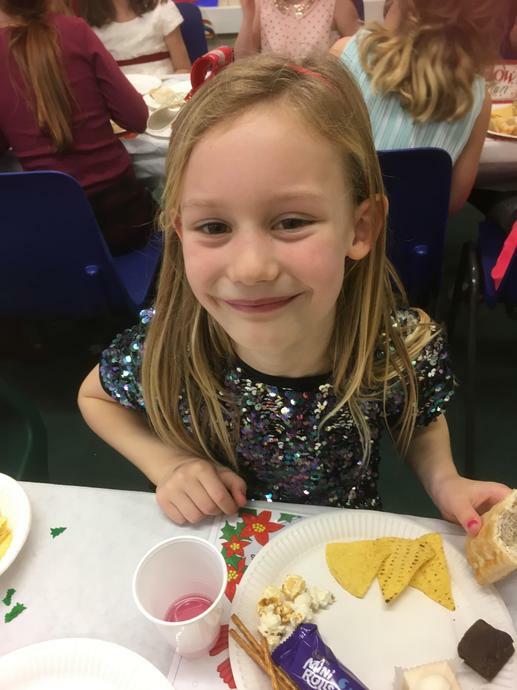 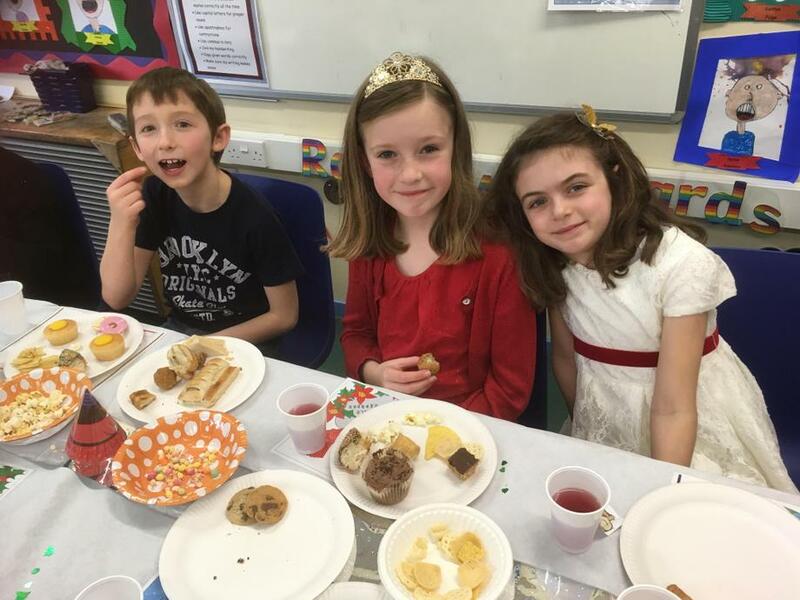 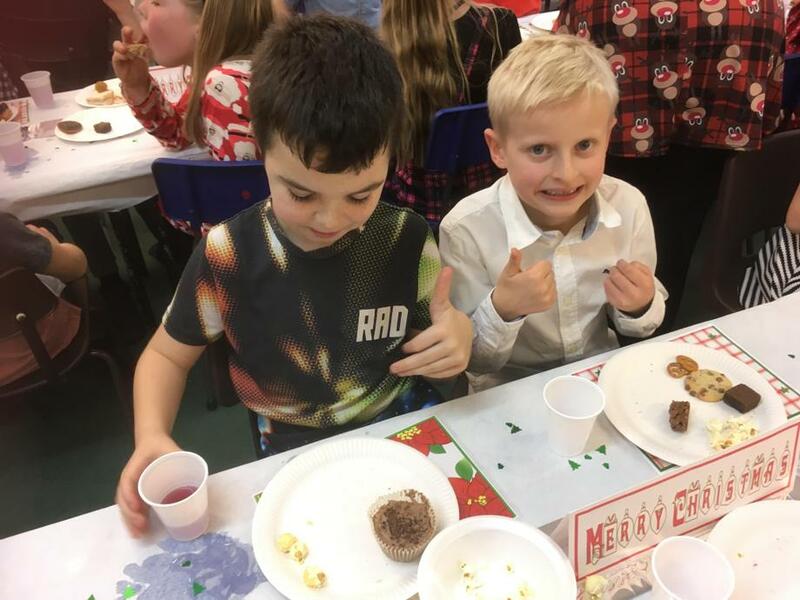 Our term ended with our fabulous production of Superstar, Christmas craft, our Christmas party and our Christmas Carol service at the Holy Cross Church. 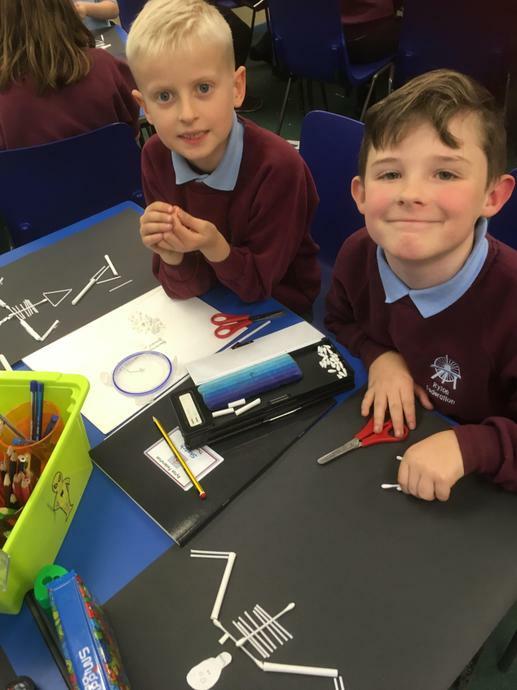 We have all had an amazing start to a new school year! 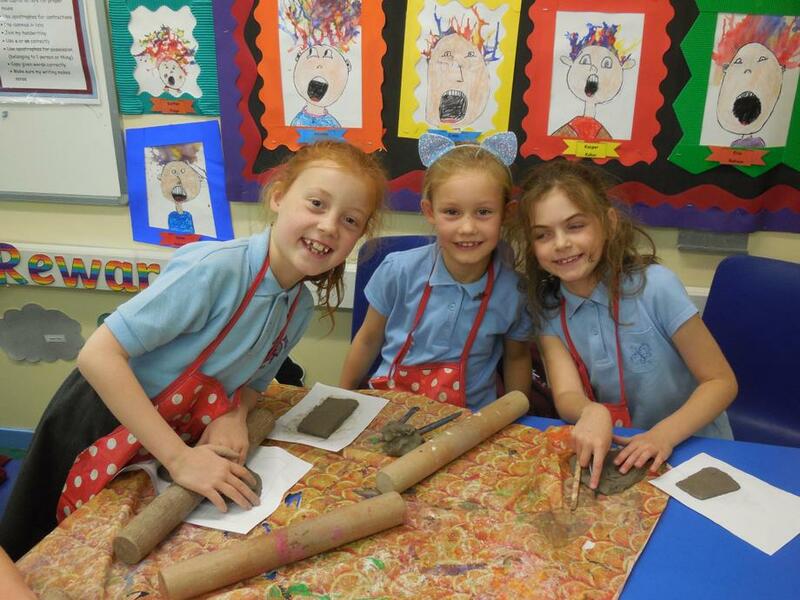 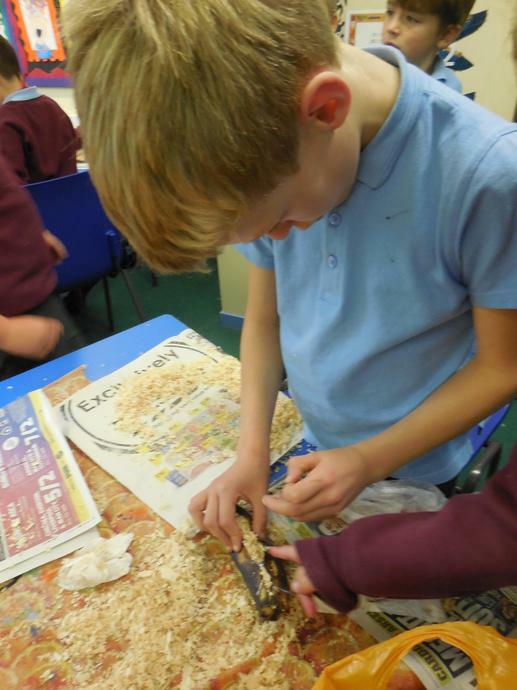 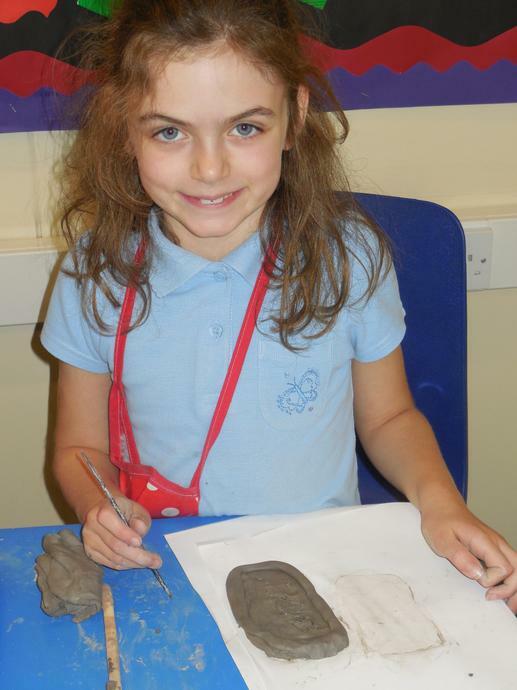 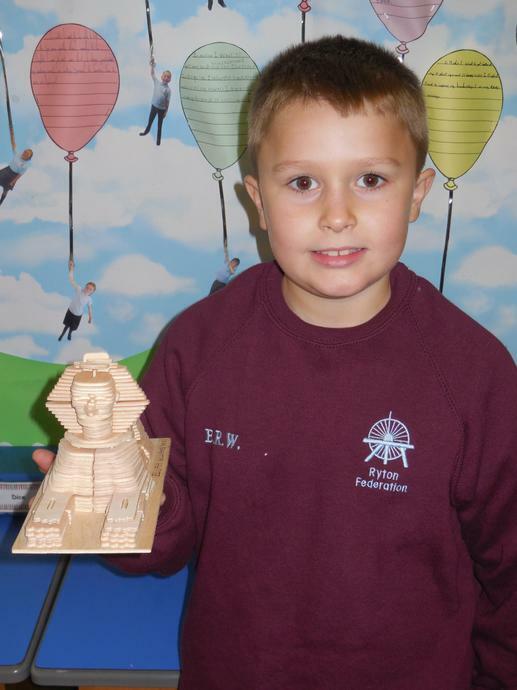 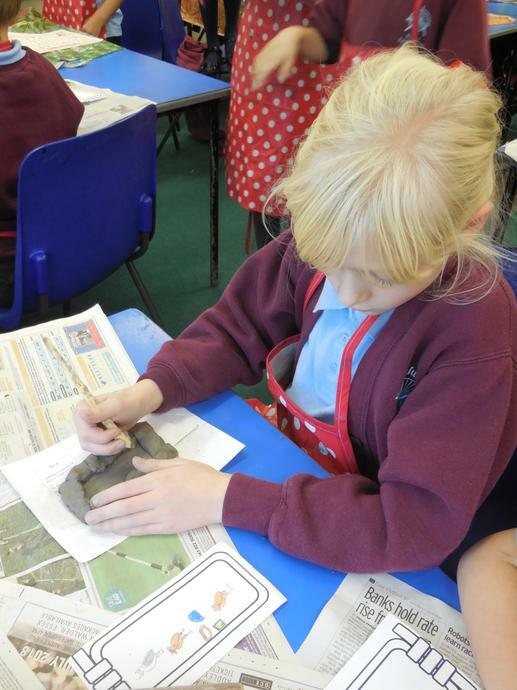 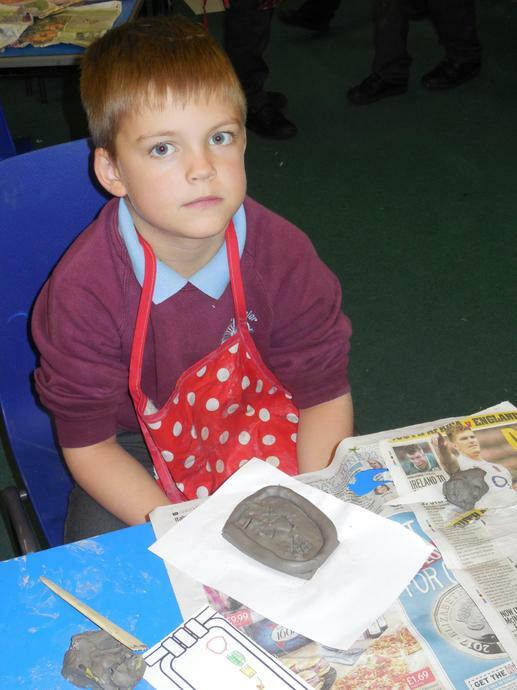 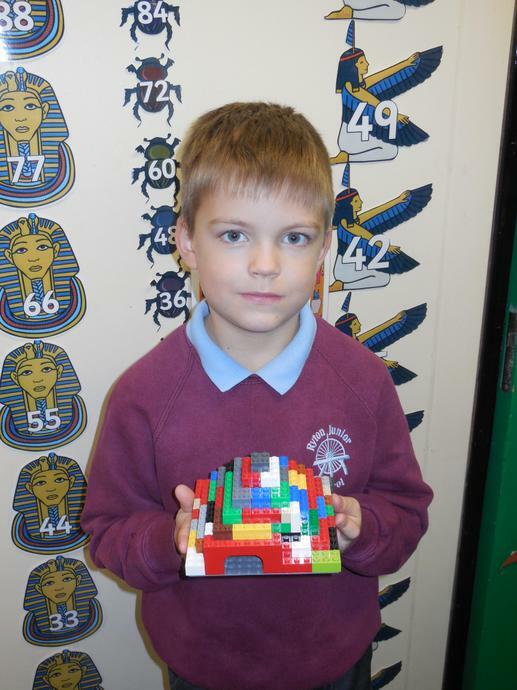 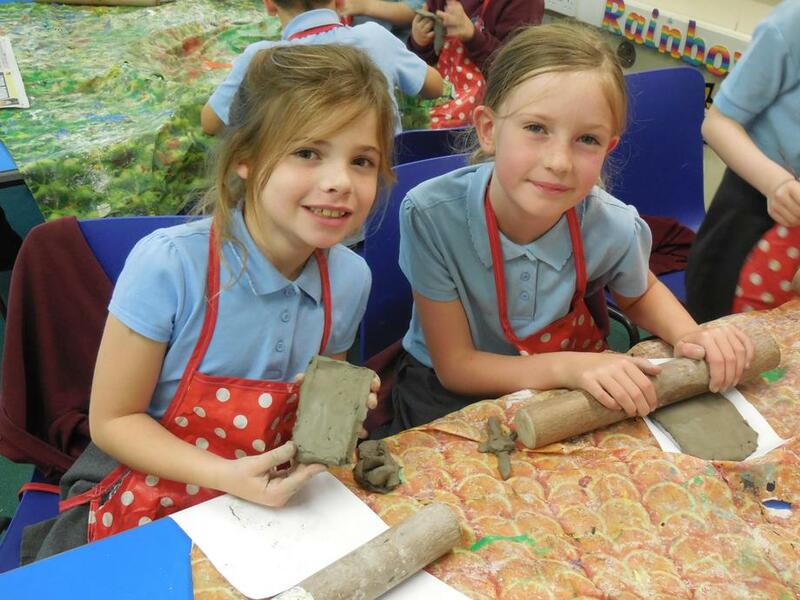 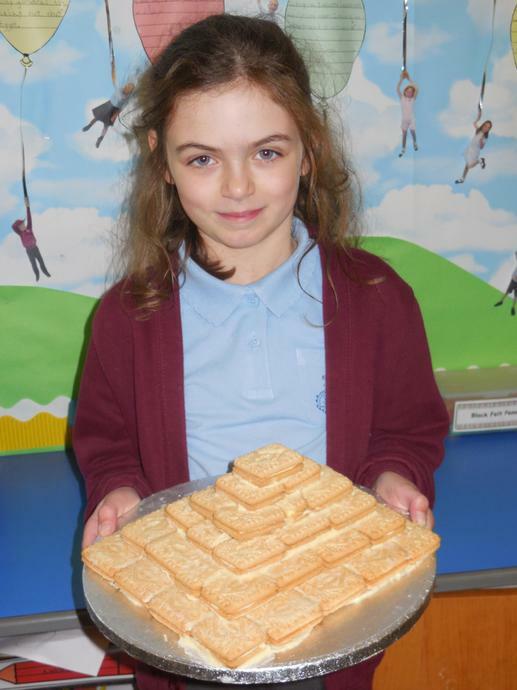 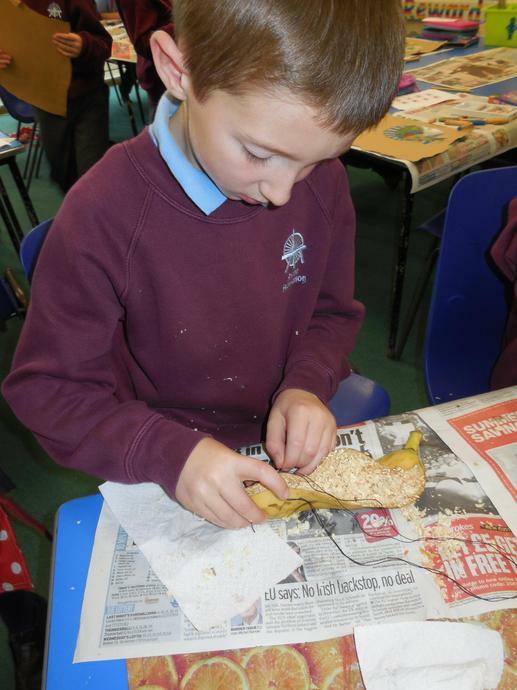 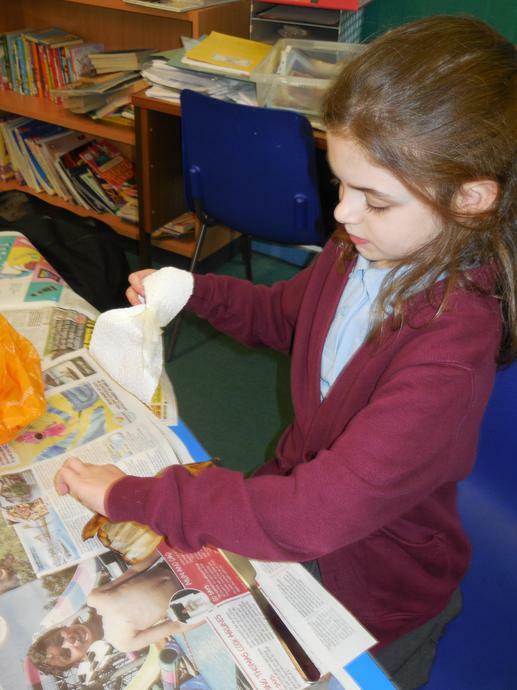 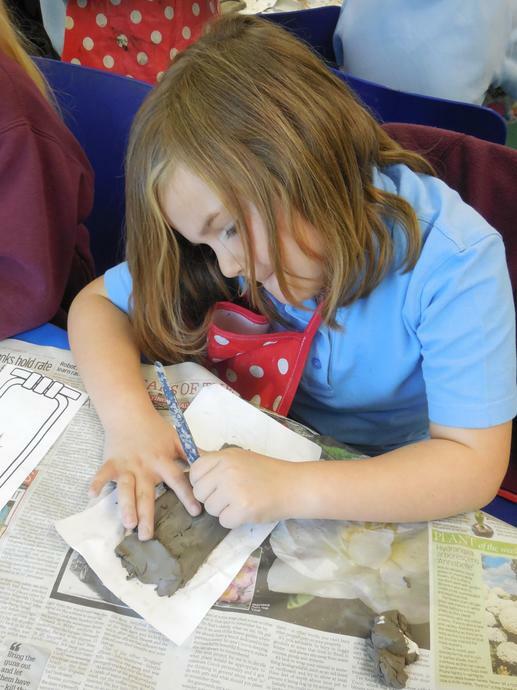 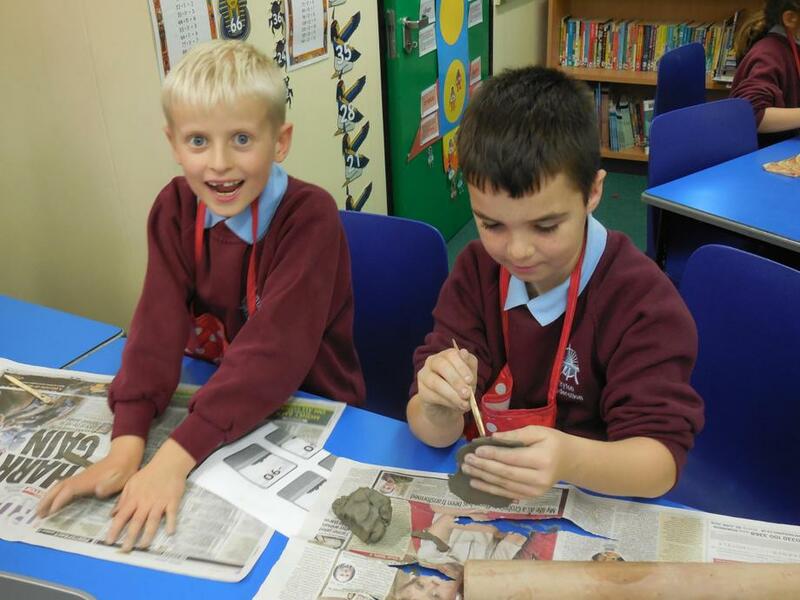 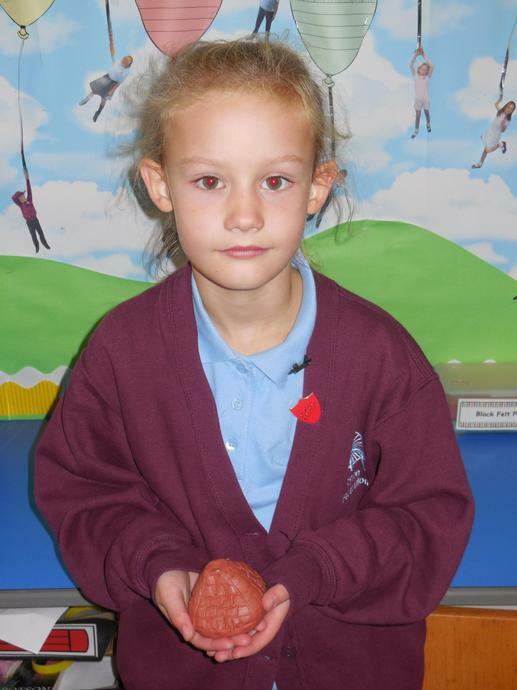 The children have worked enthusiastically and thoroughly enjoyed learning about life in Ancient Egypt. 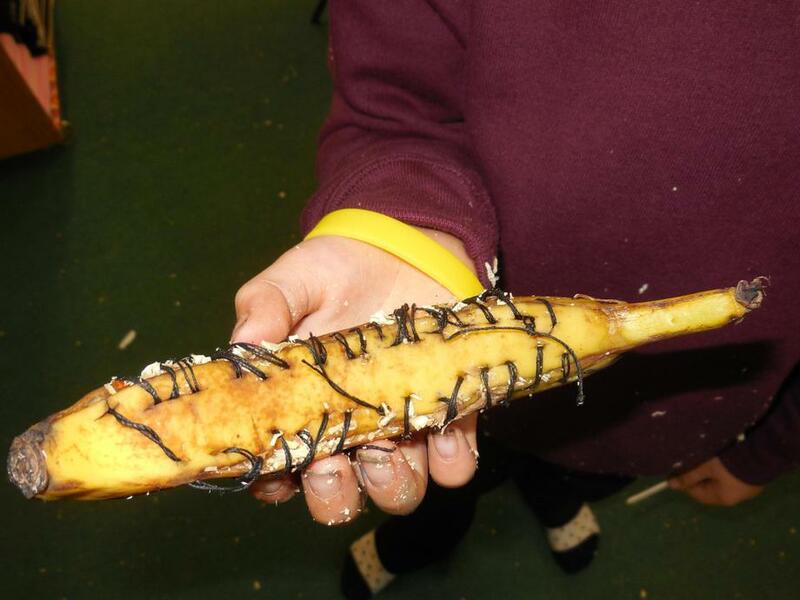 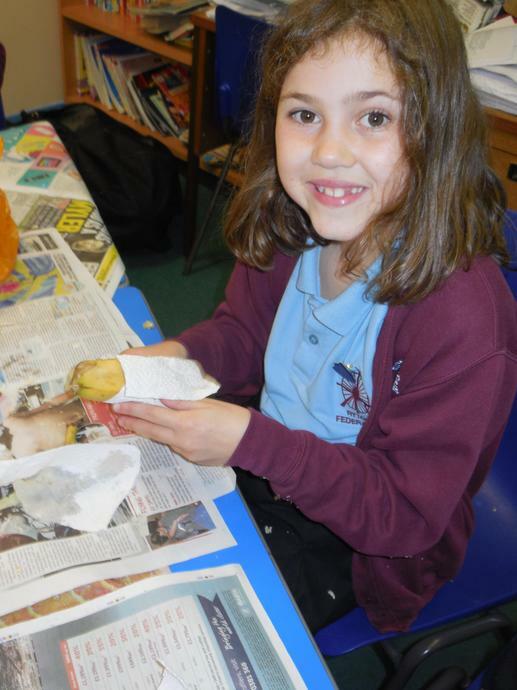 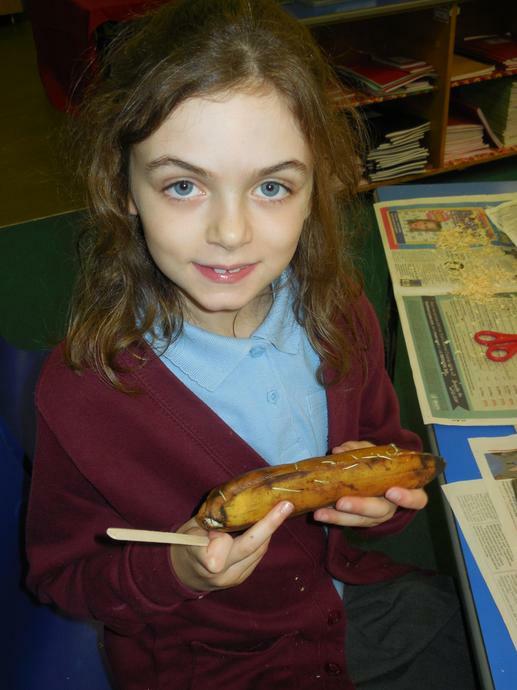 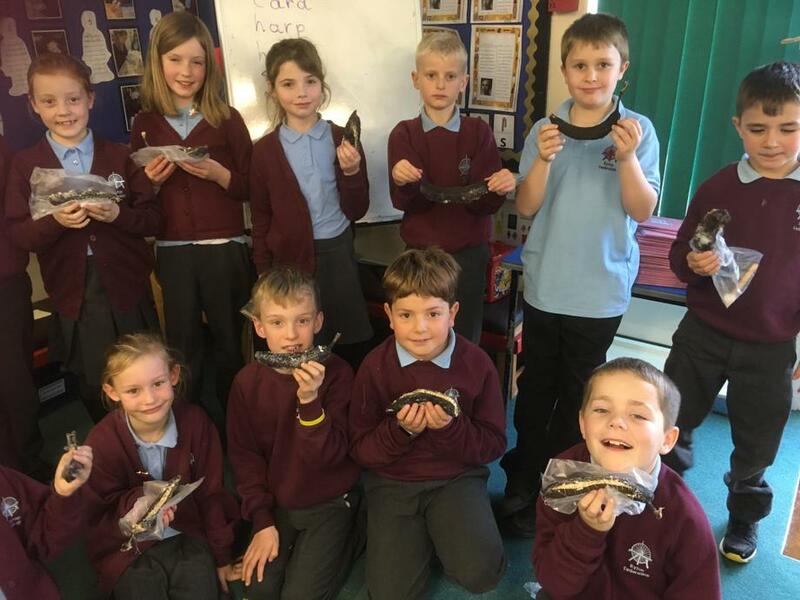 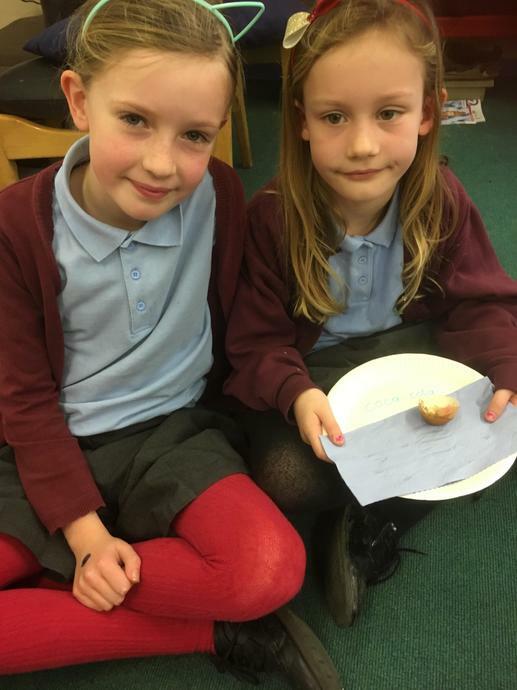 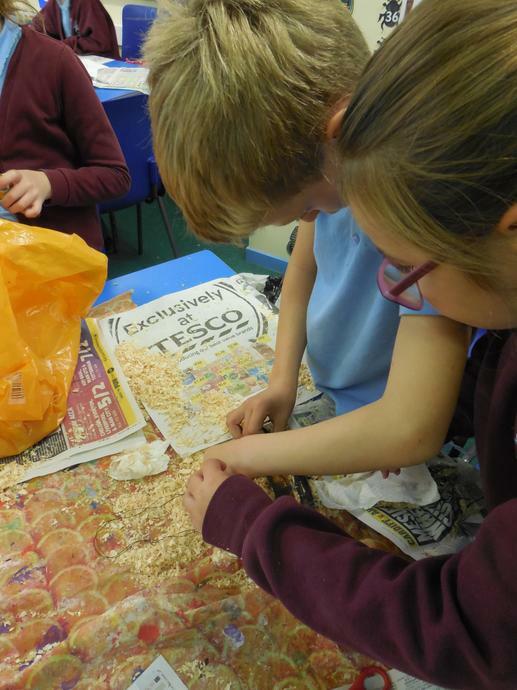 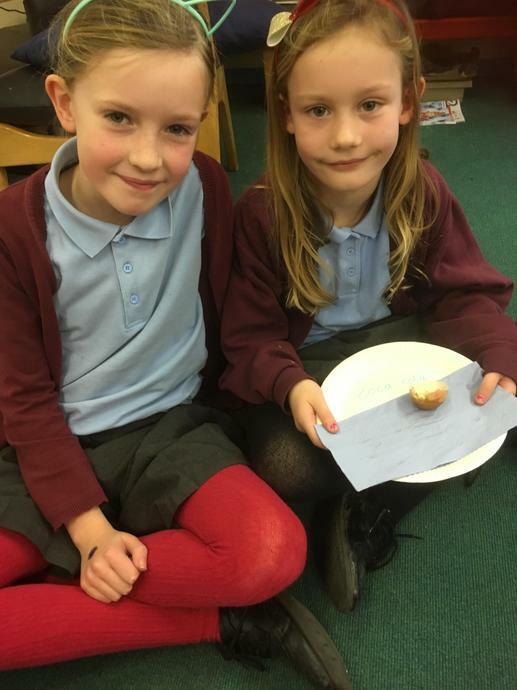 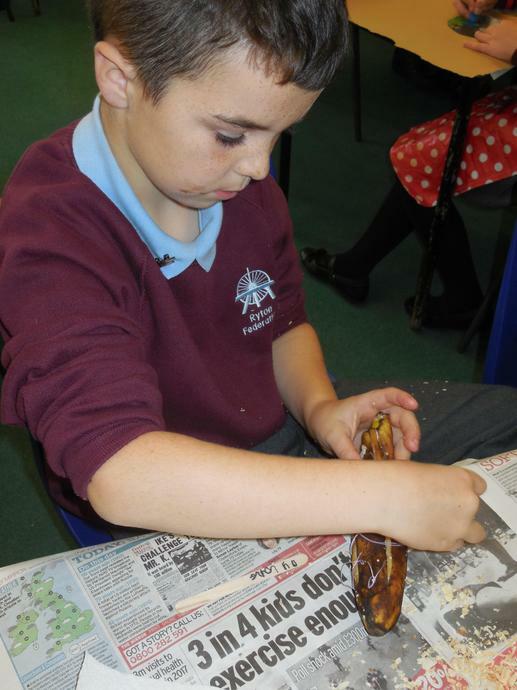 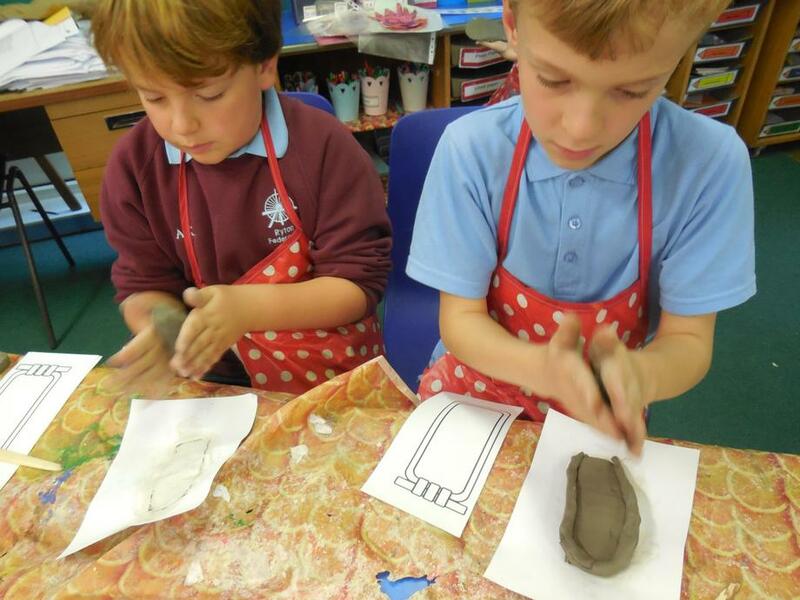 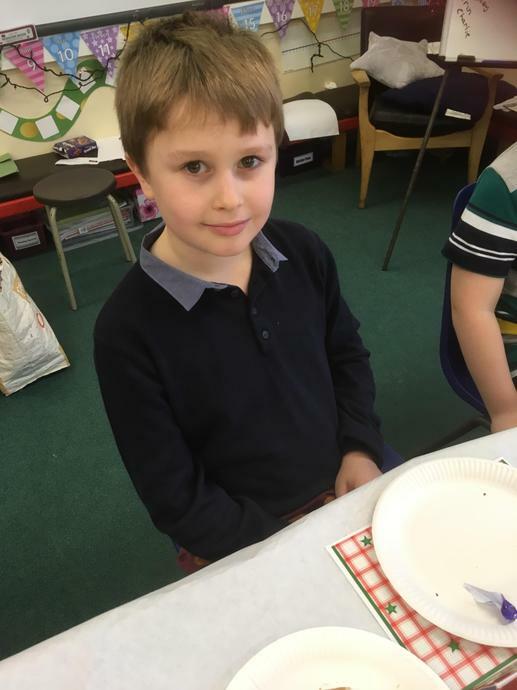 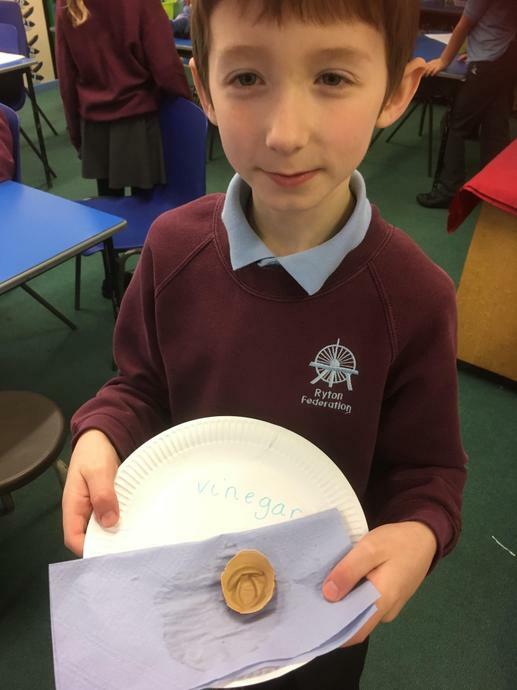 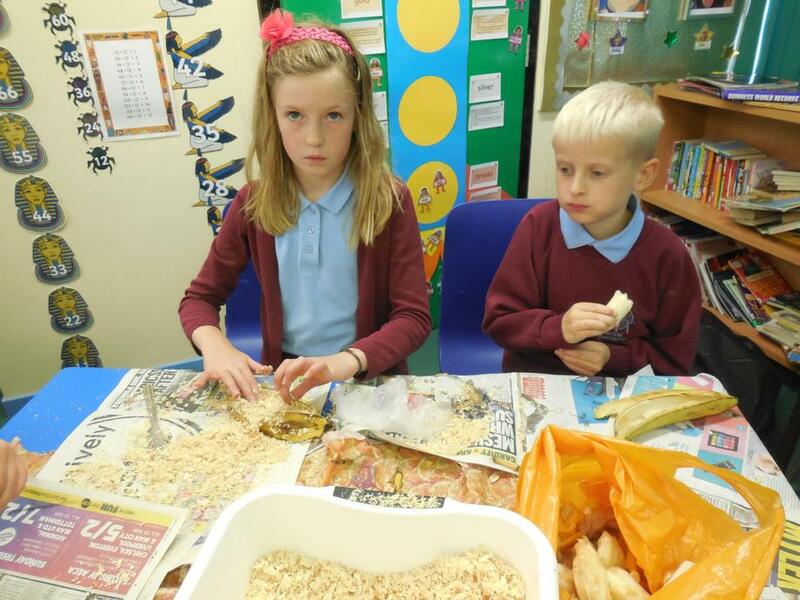 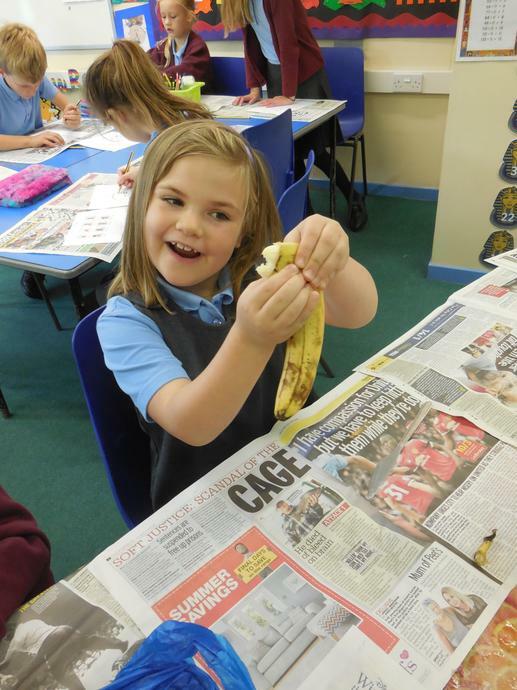 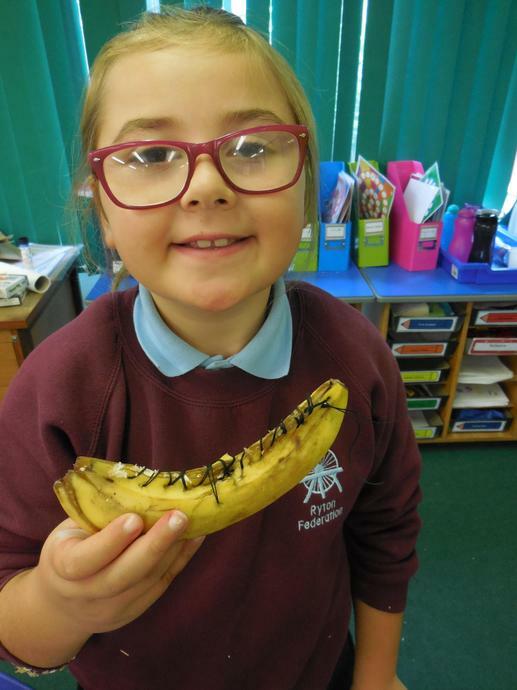 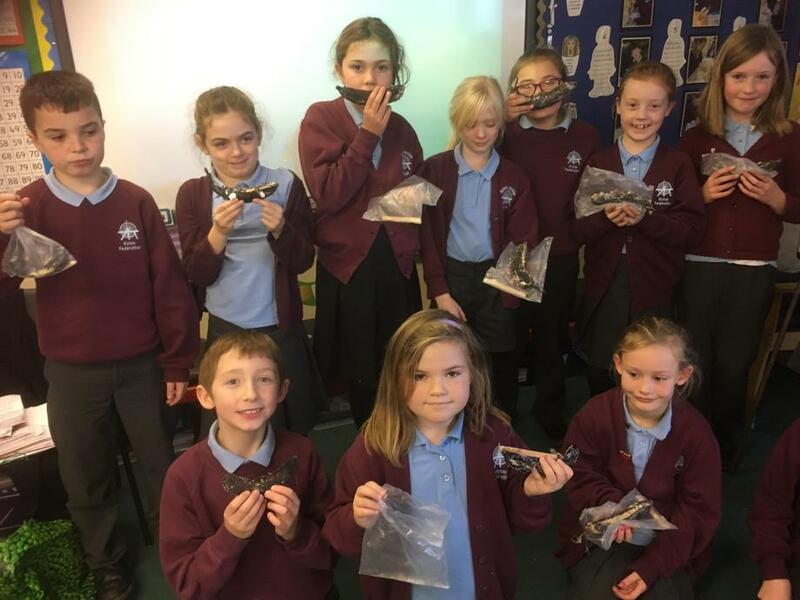 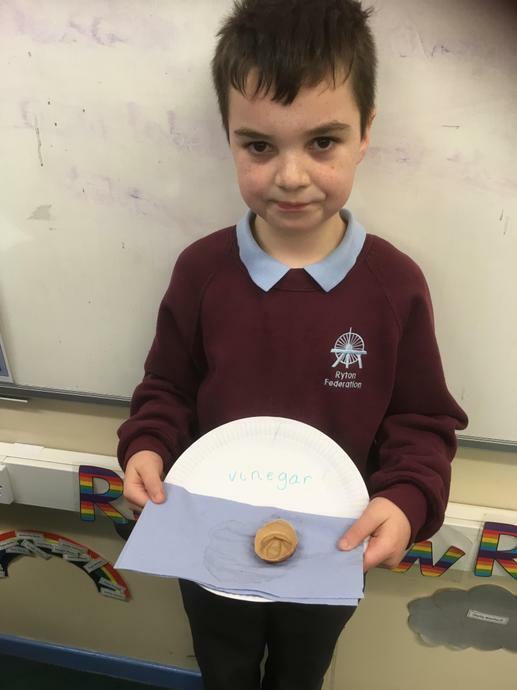 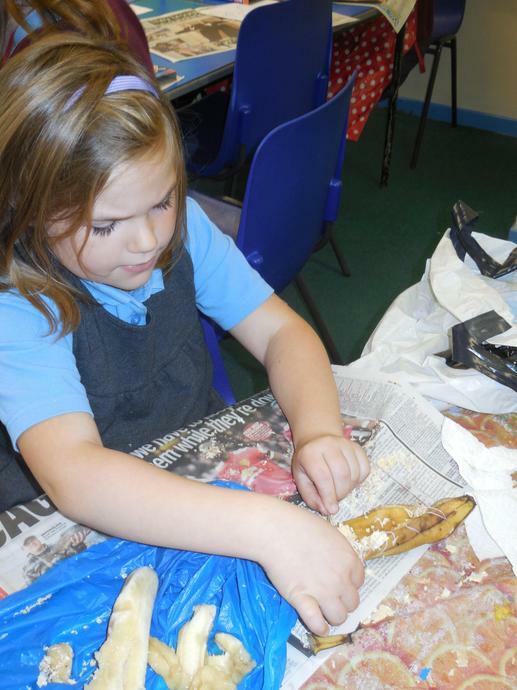 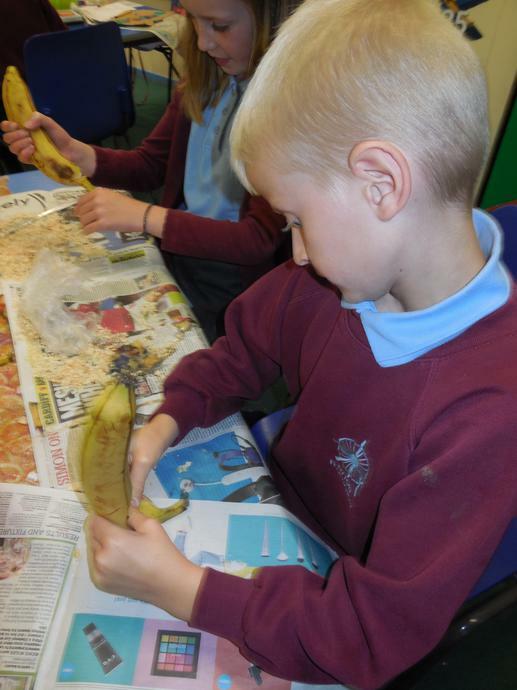 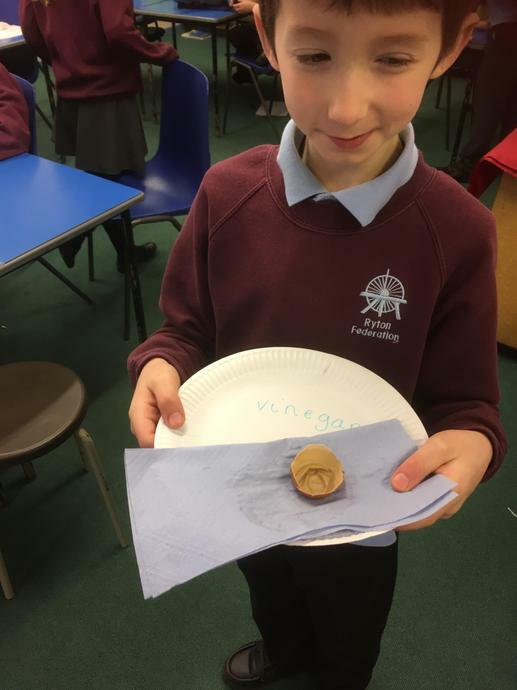 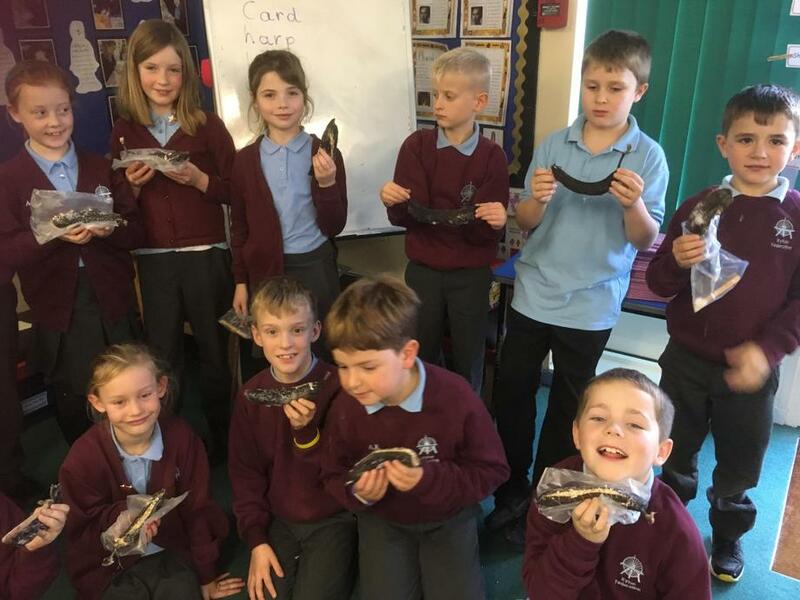 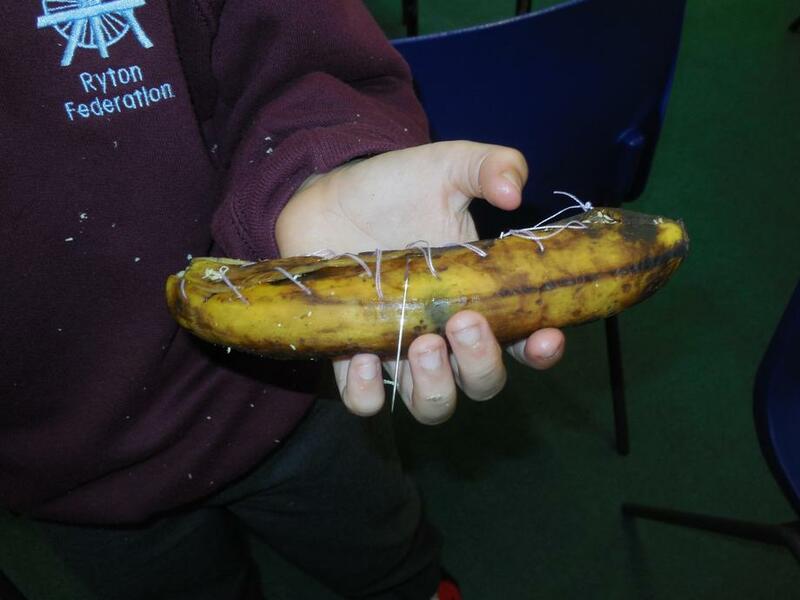 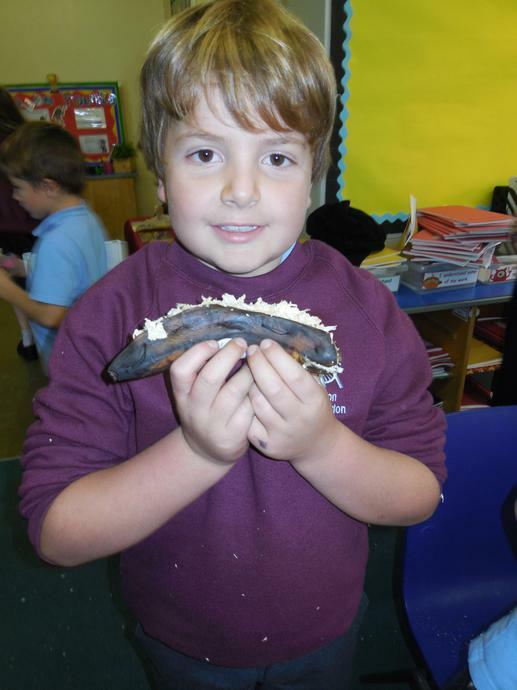 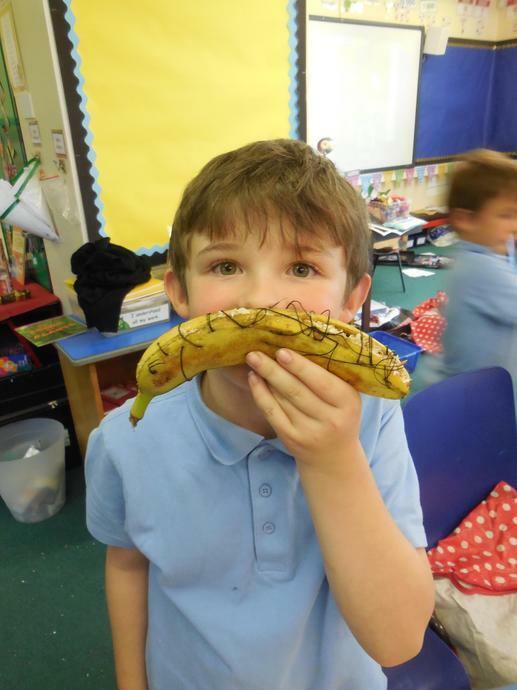 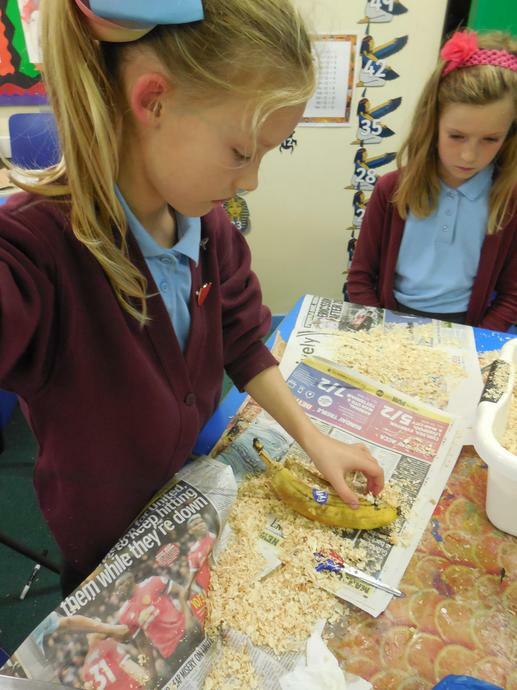 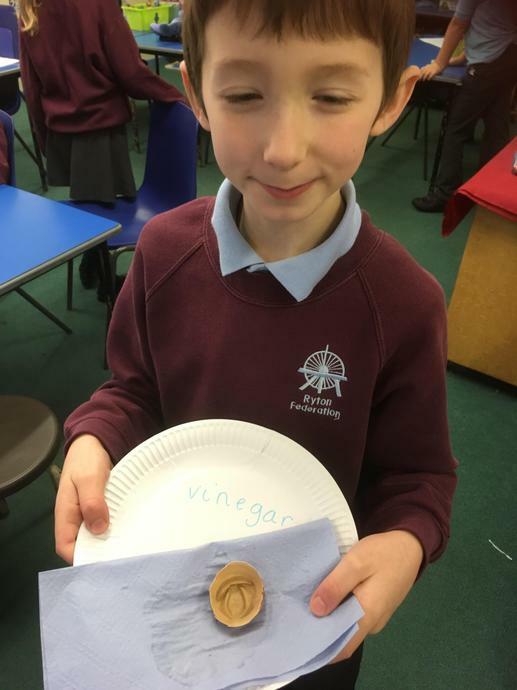 Their learning involved many exciting activities, including writing a newspaper report based on the mysterious death of Pharaoh Tutankhamun, they made clay cartouches with their names painted in Egyptian Hieroglyphics, they became Ancient Egyptian embalmers and mummified a banana. 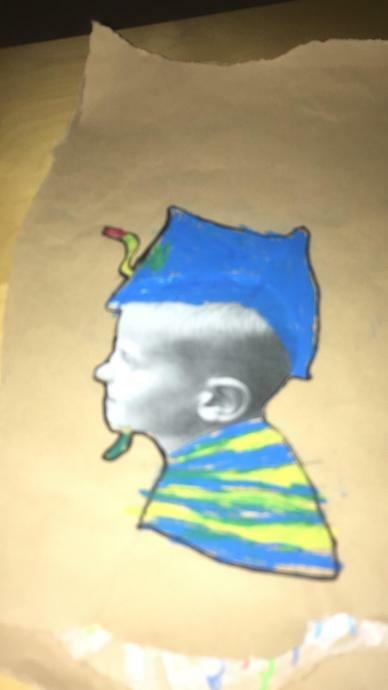 They also became Egyptian Pharaohs, using oil pastels to draw their own Egyptian crown on a photo of their heads. 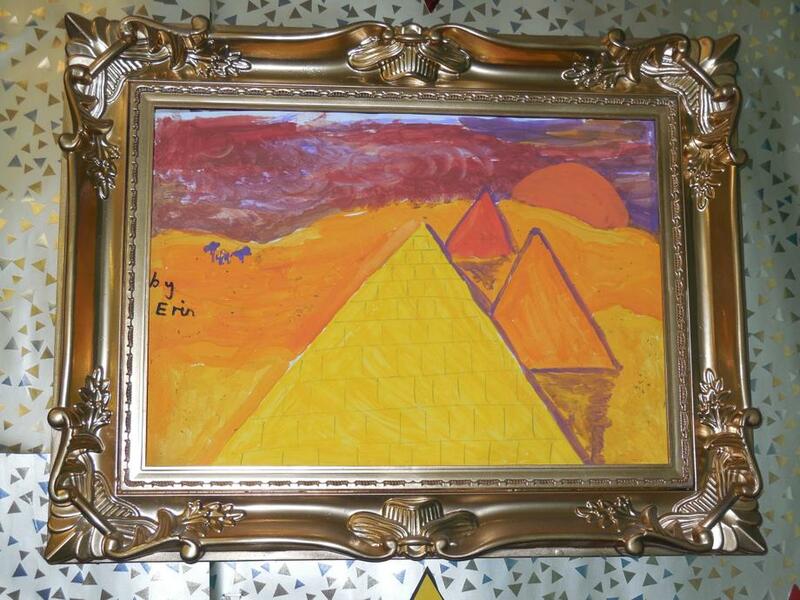 We were also very impressed with the children's fantastic Egyptian landscape paintings in the style of William Turner. 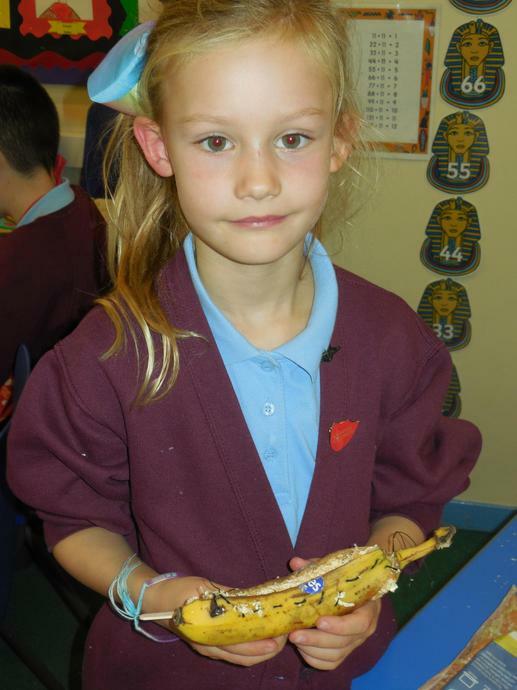 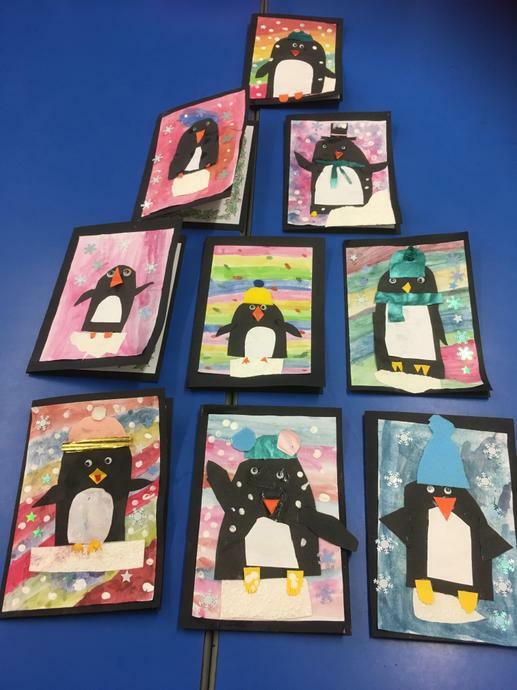 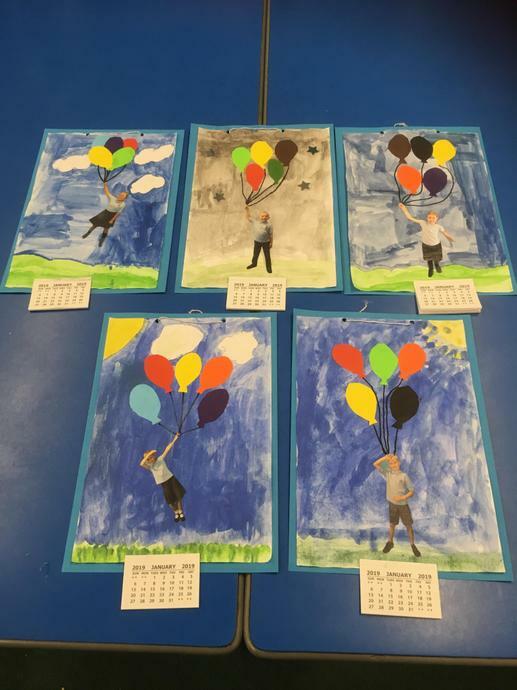 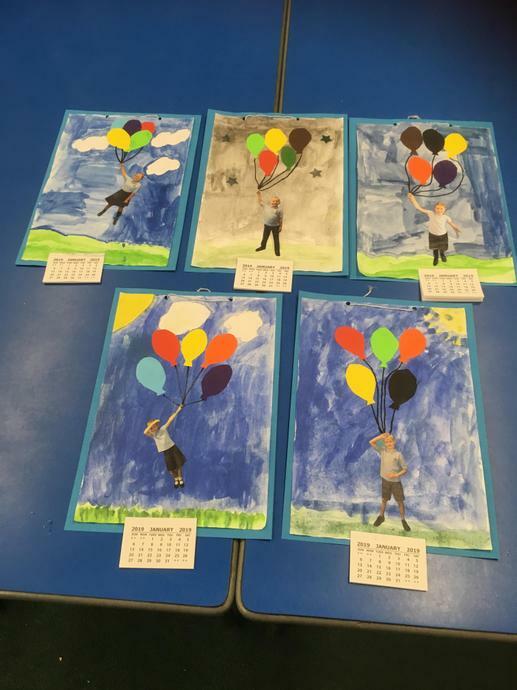 In addition, we would like to thank the children and parents for their brilliant and highly creative homework projects.